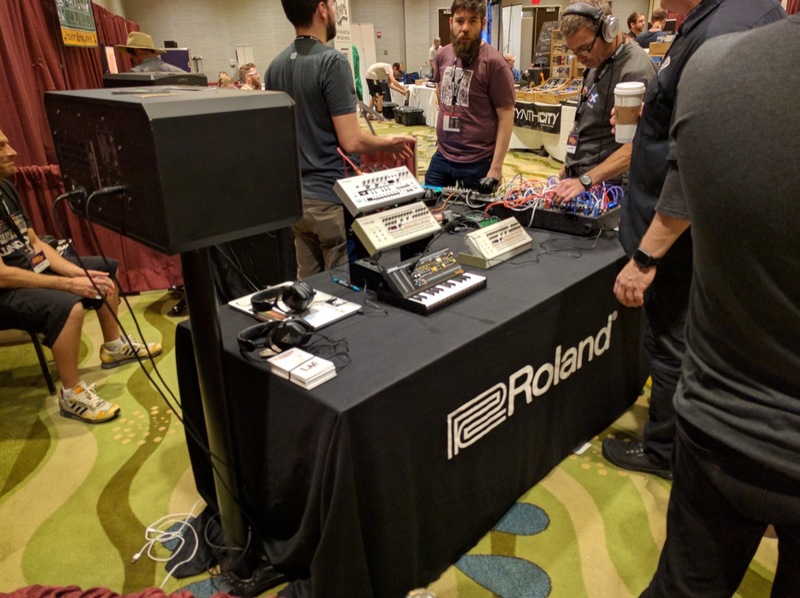 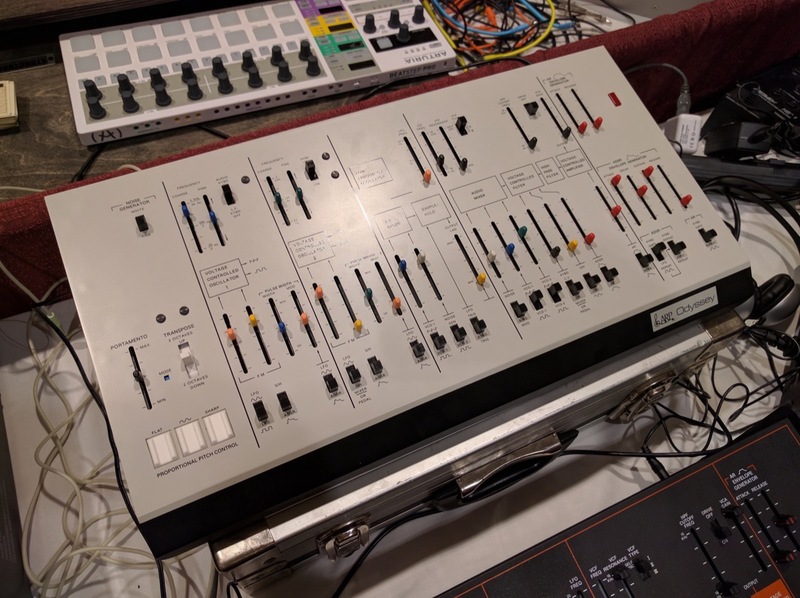 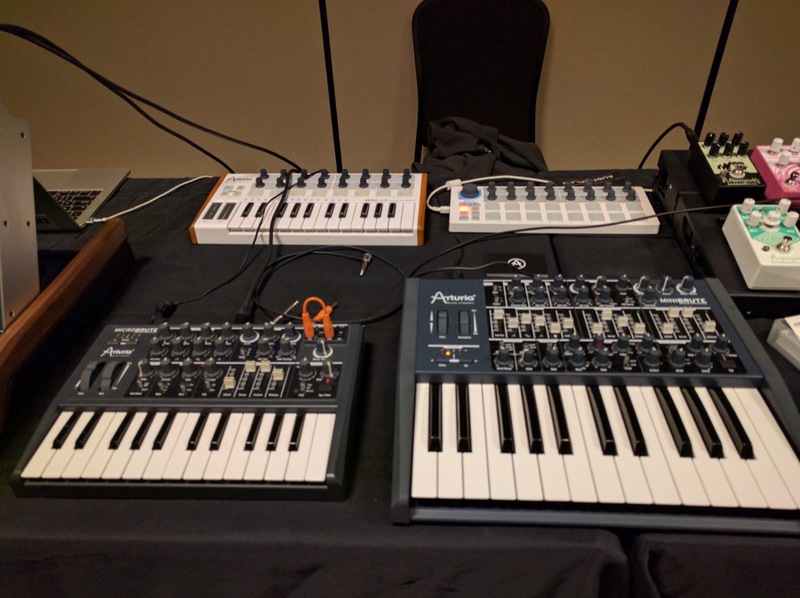 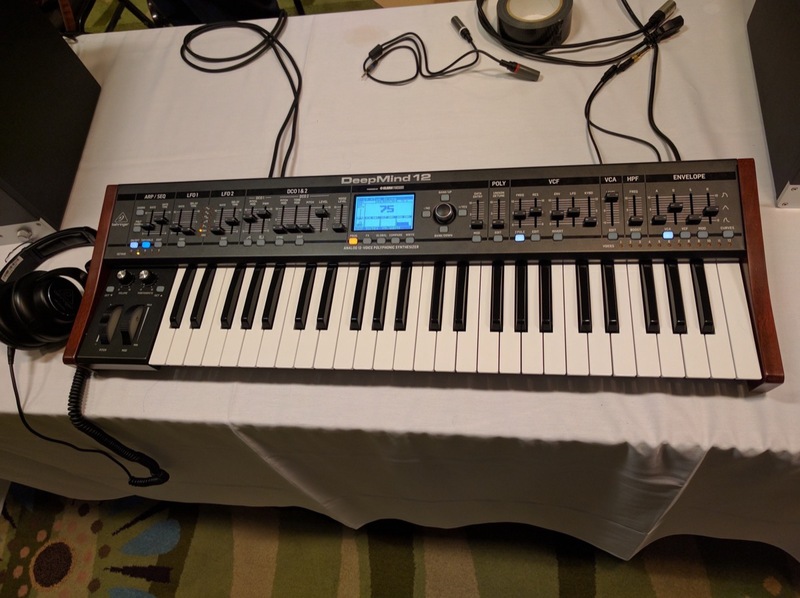 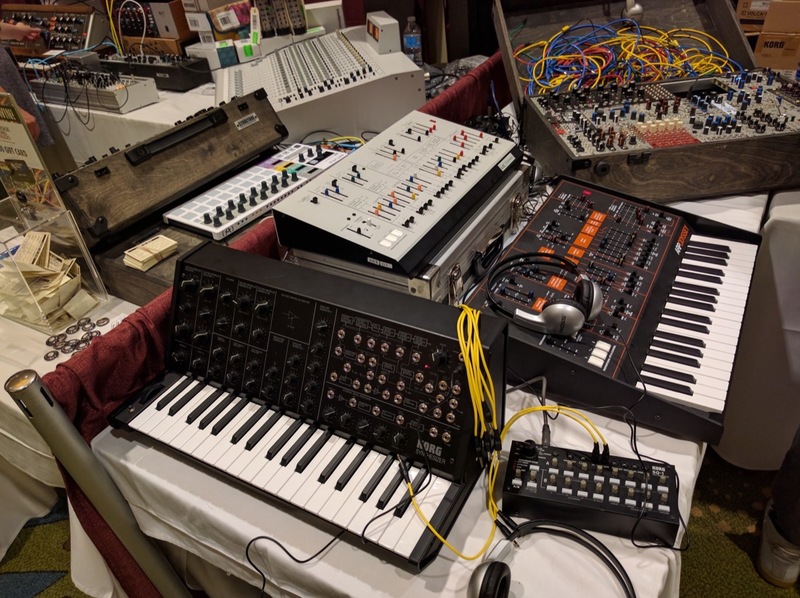 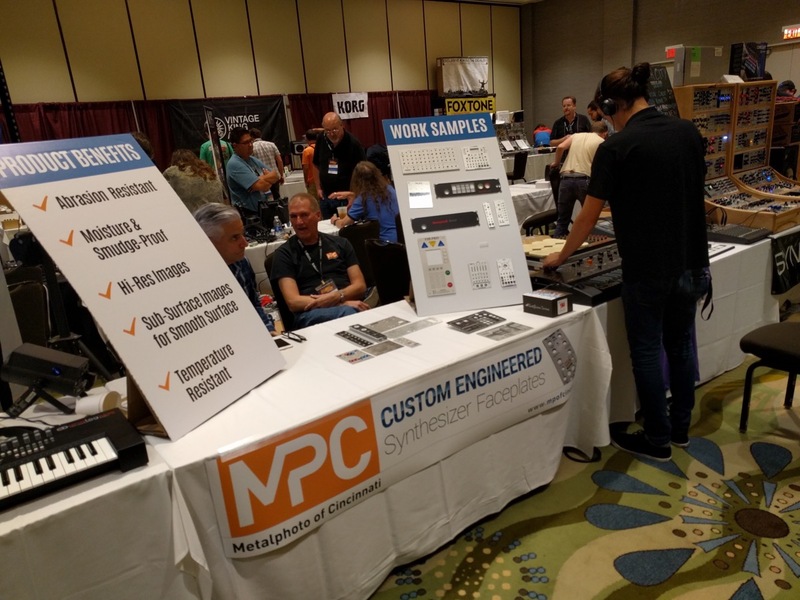 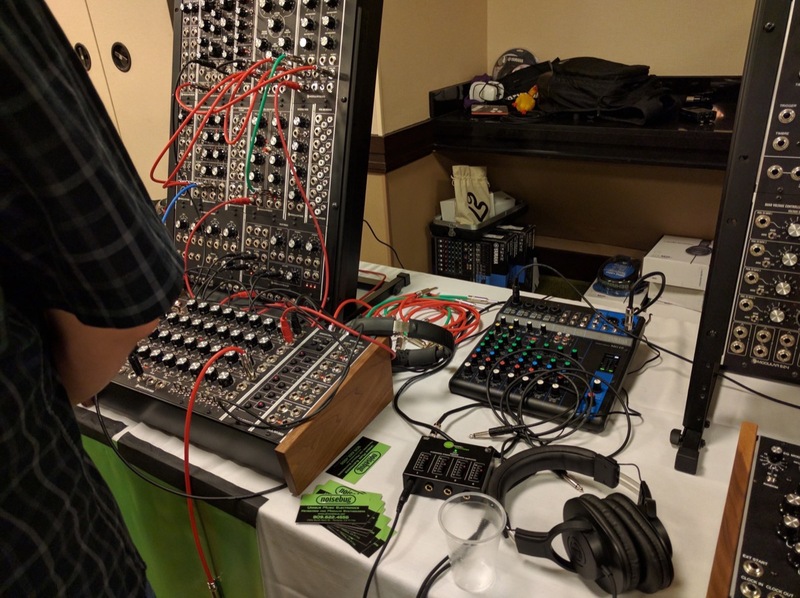 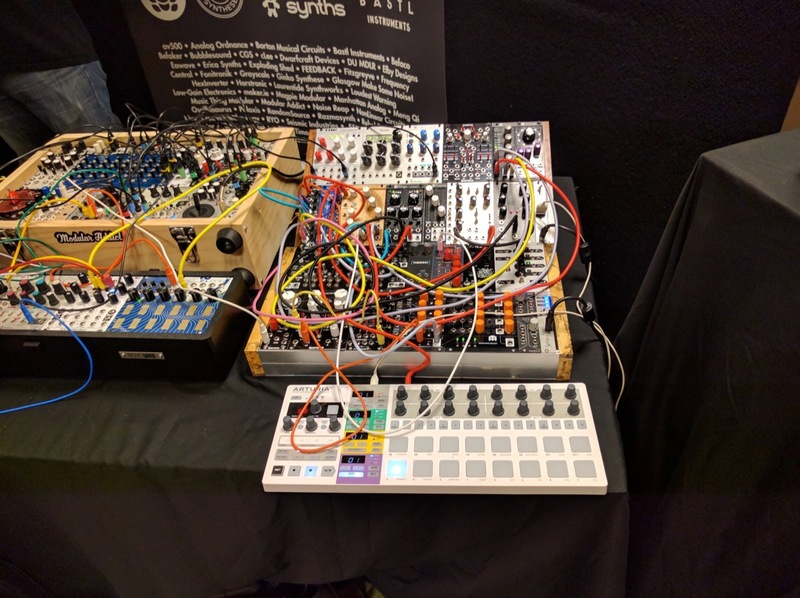 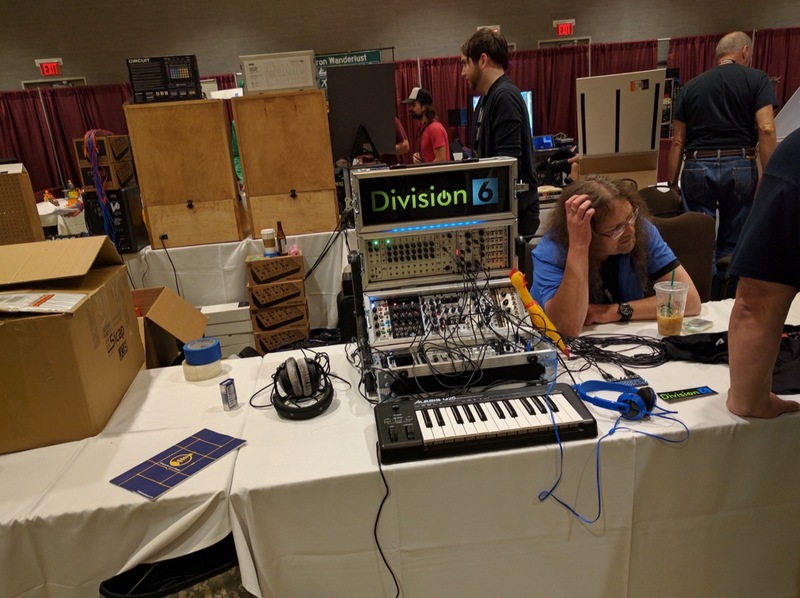 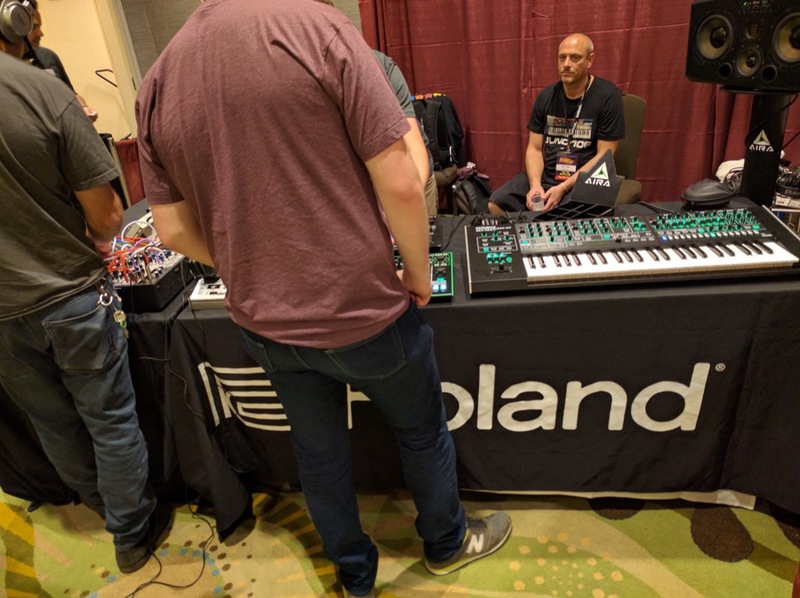 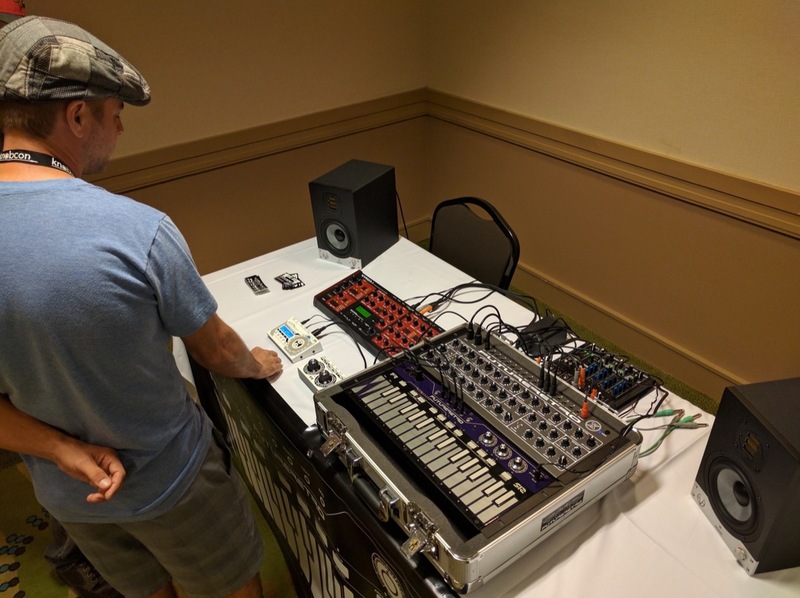 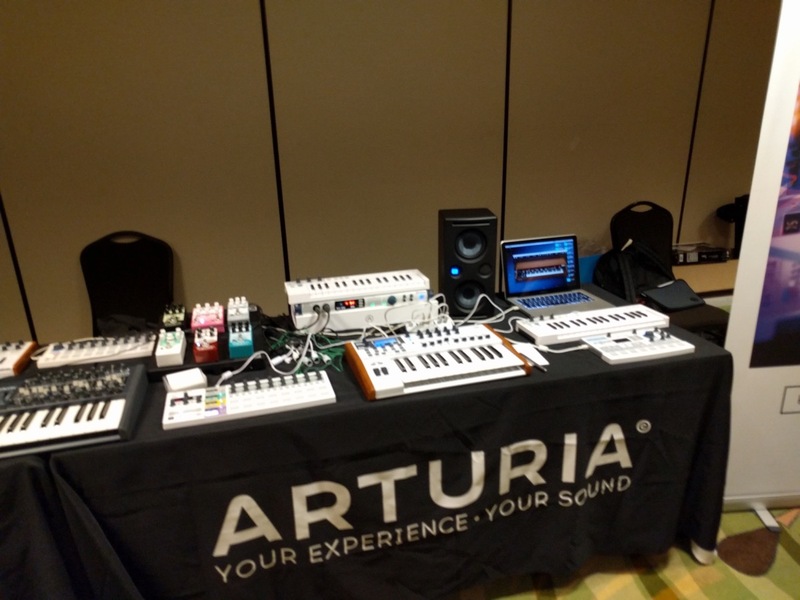 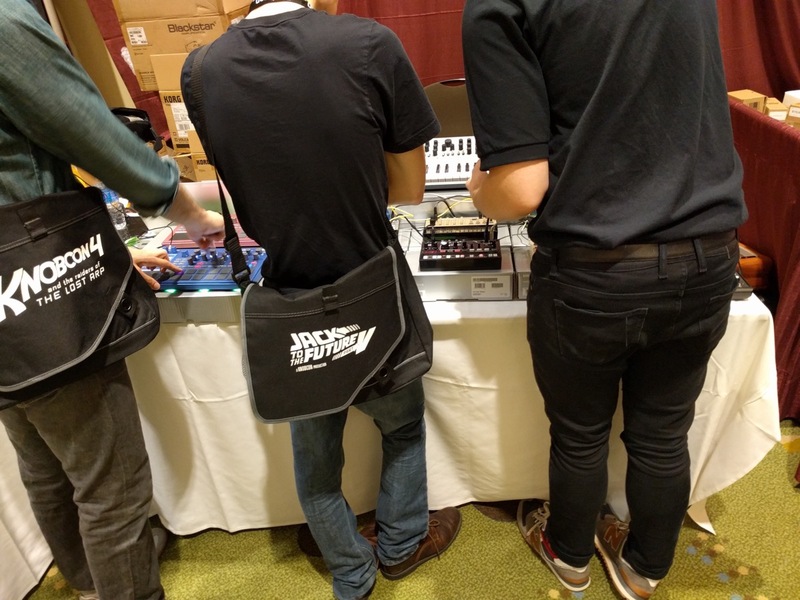 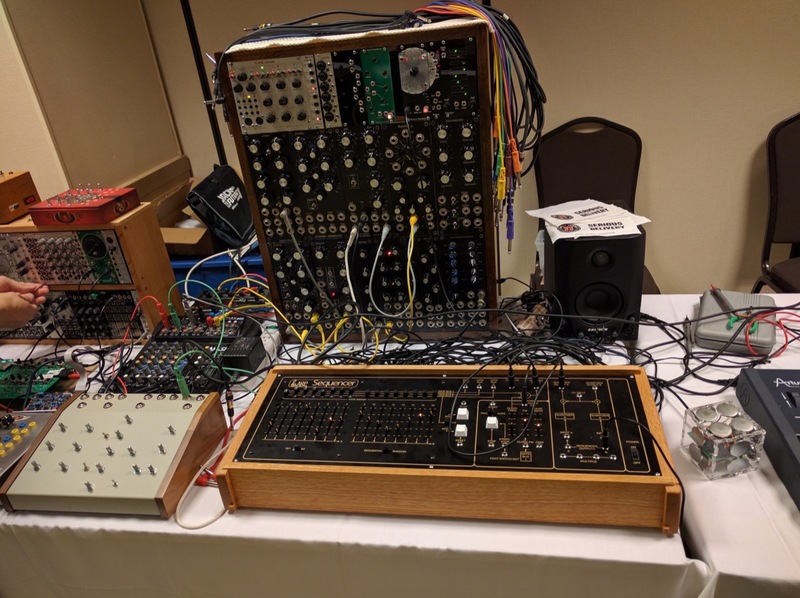 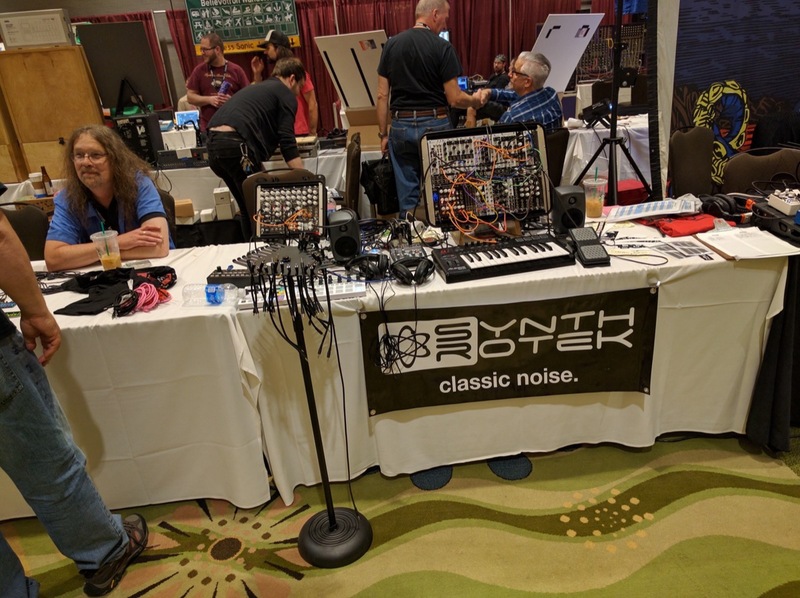 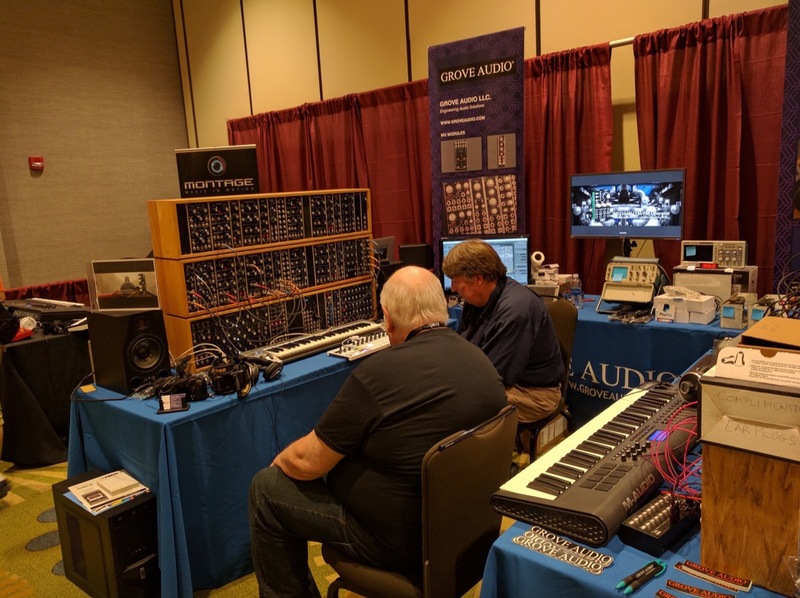 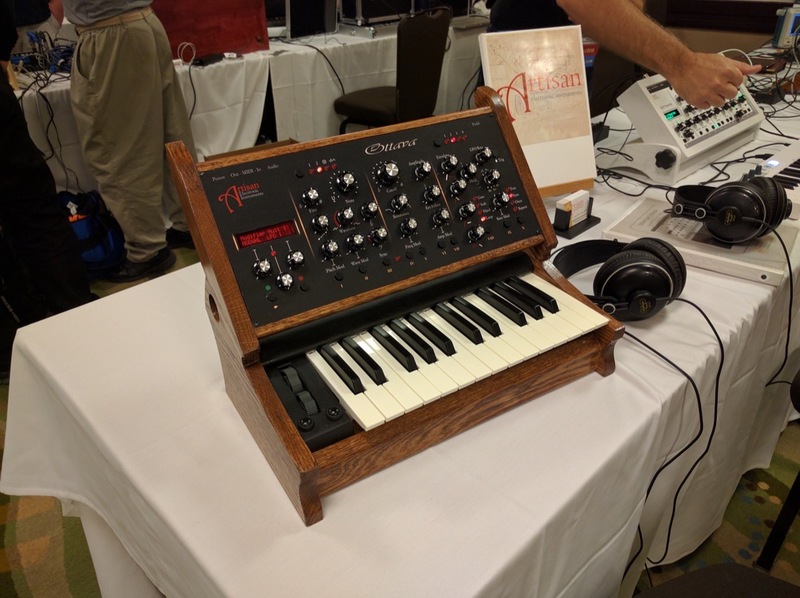 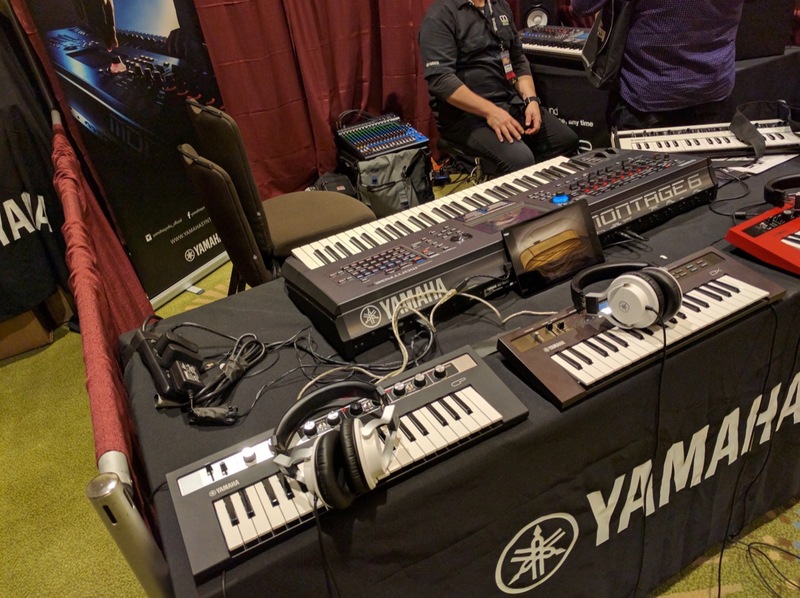 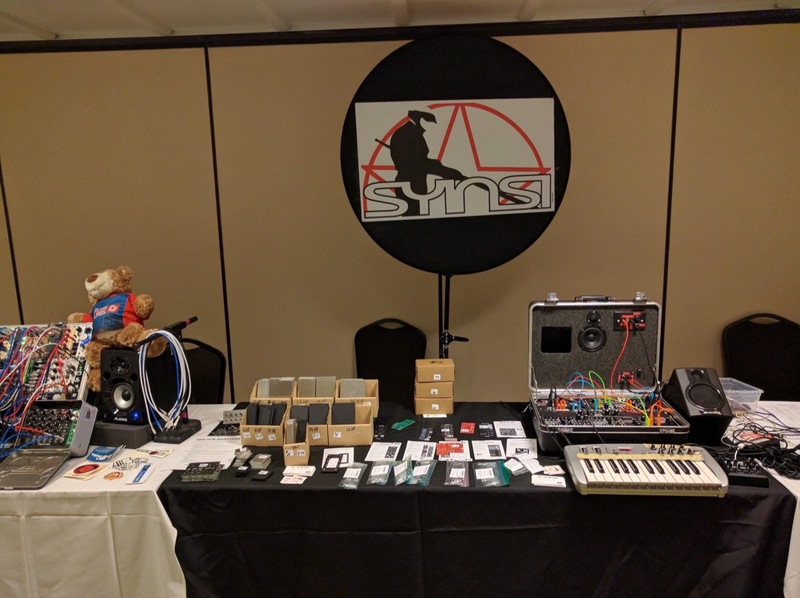 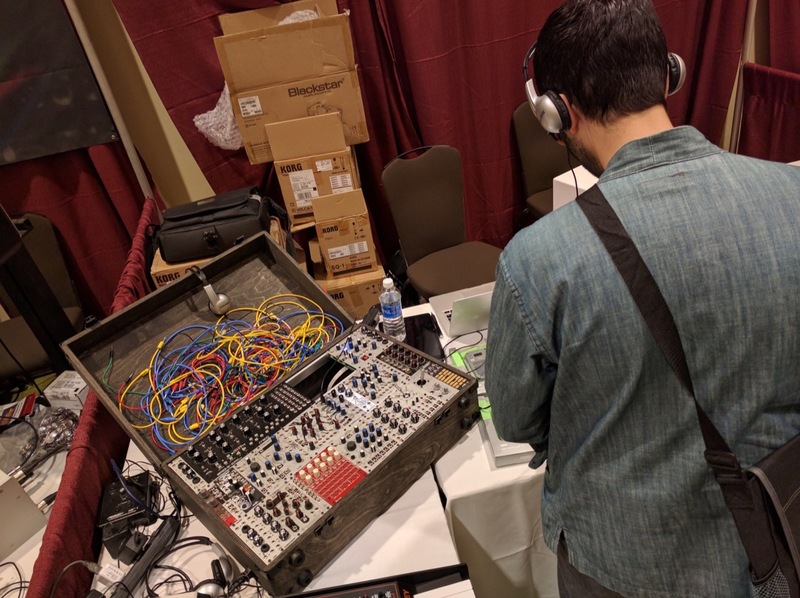 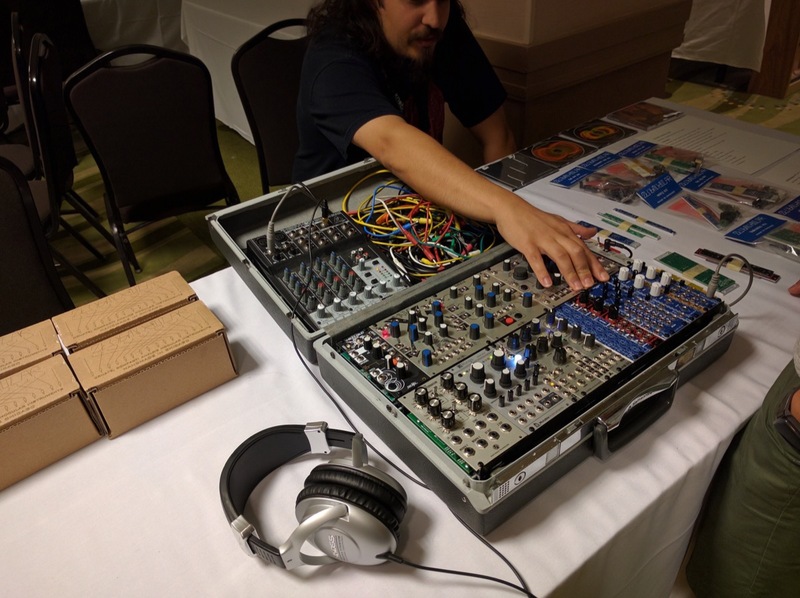 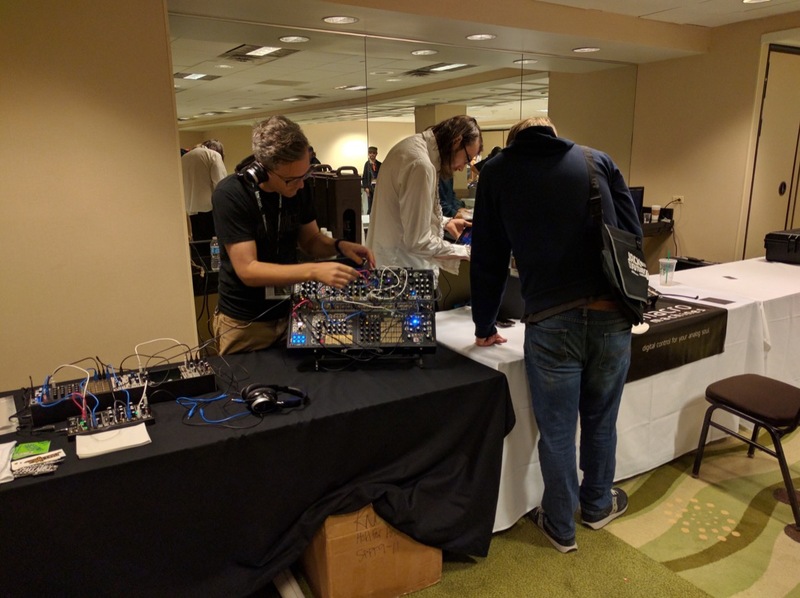 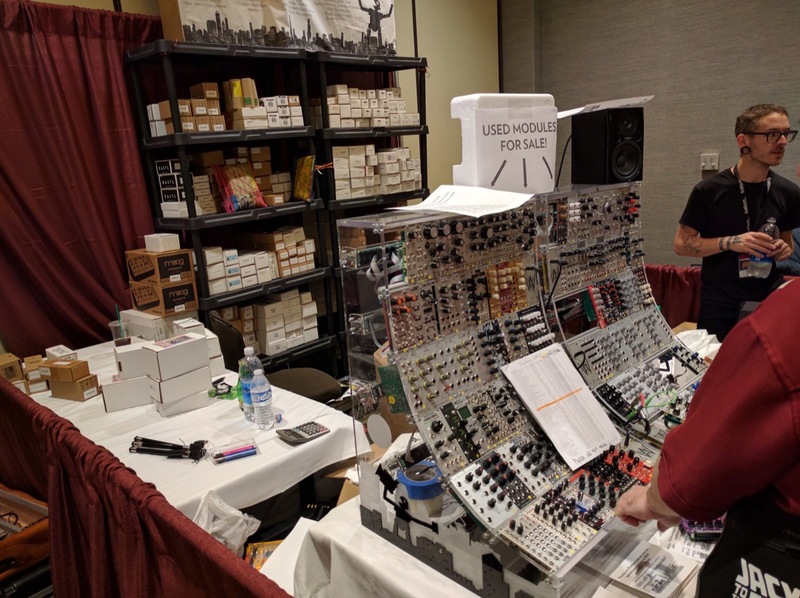 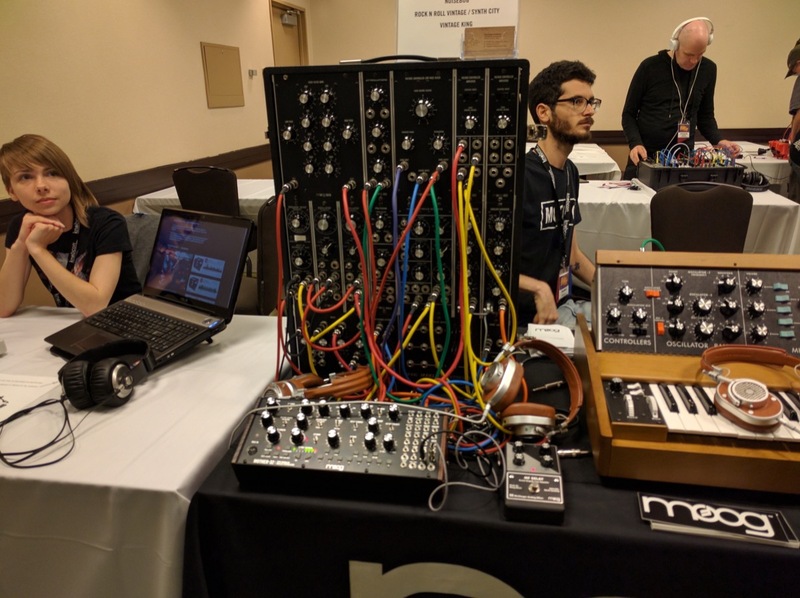 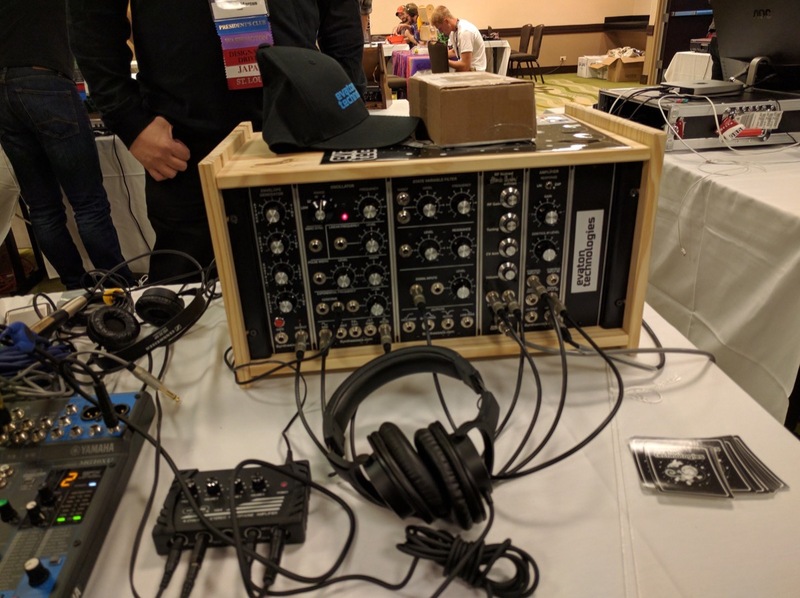 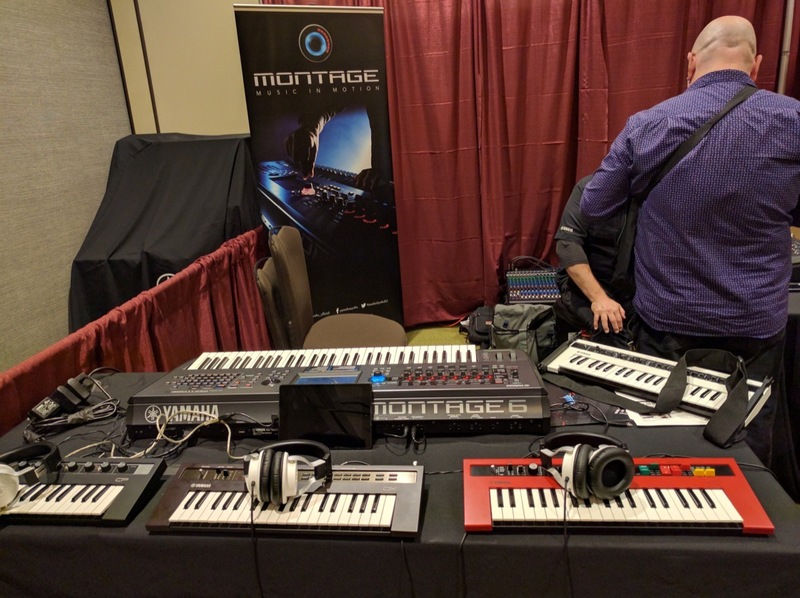 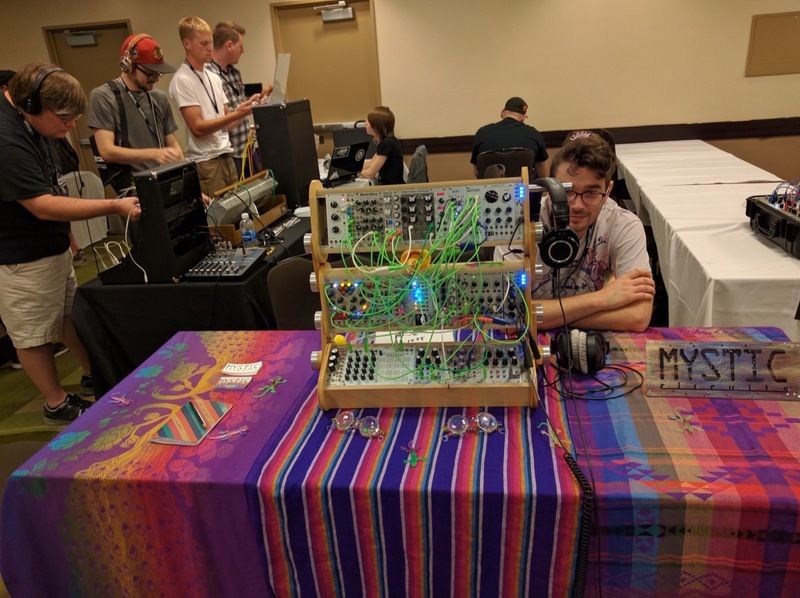 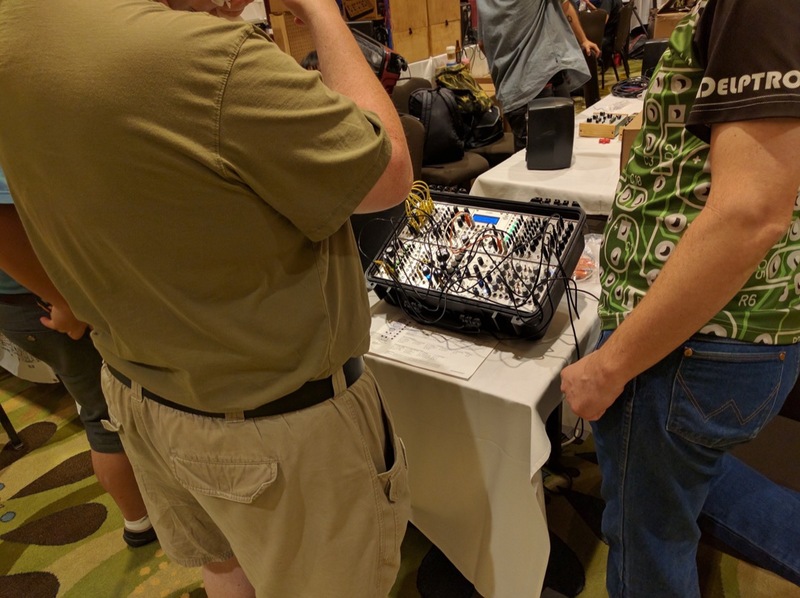 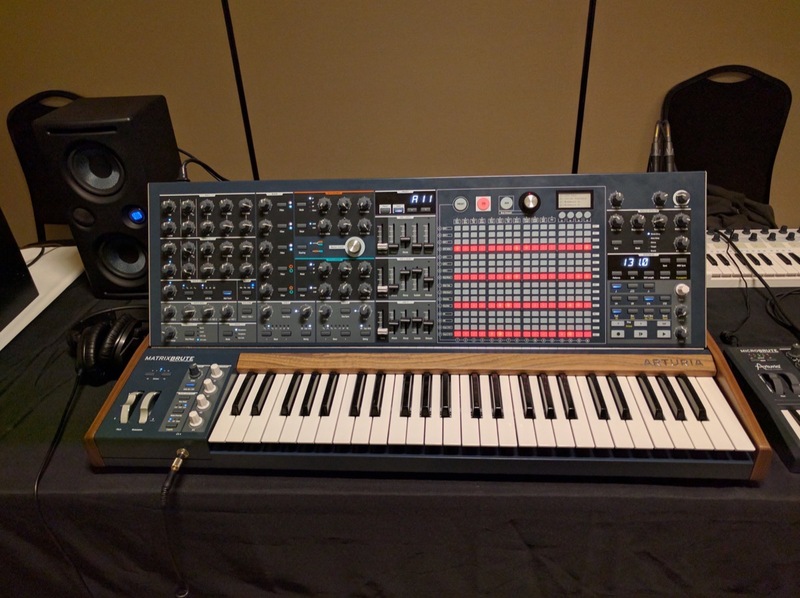 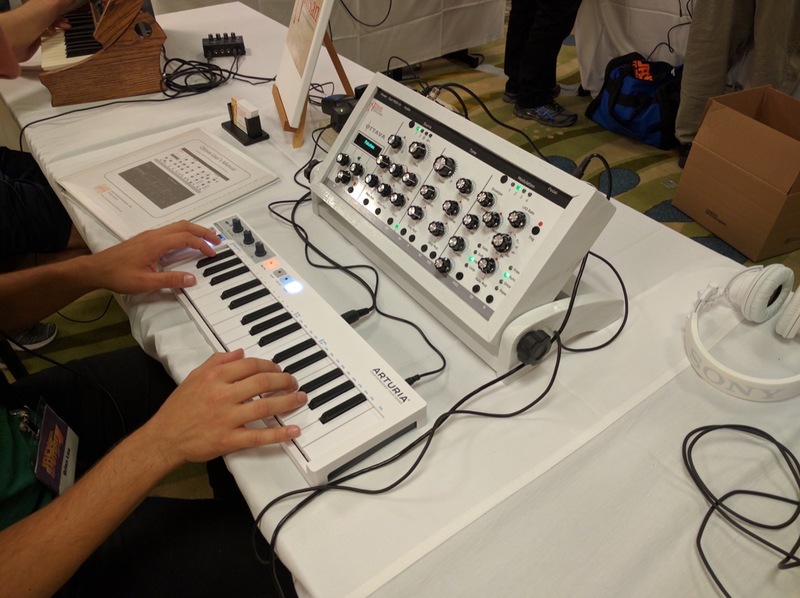 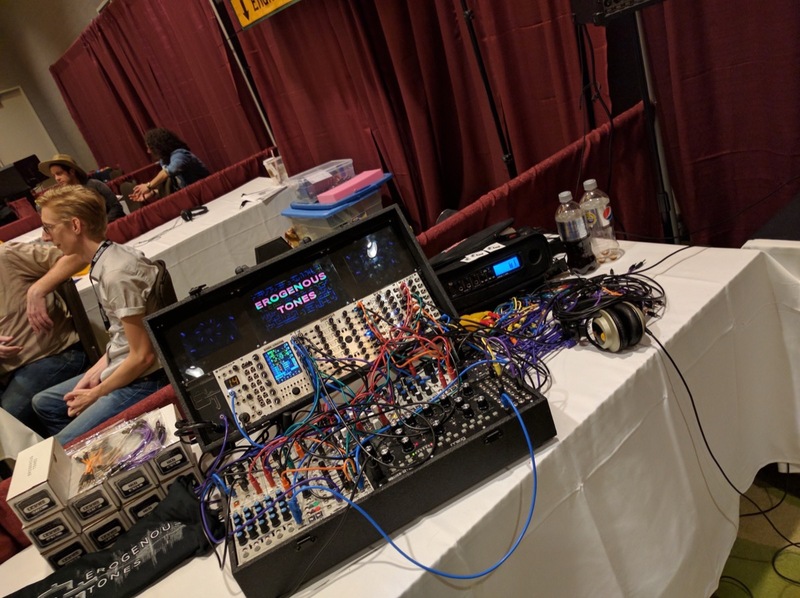 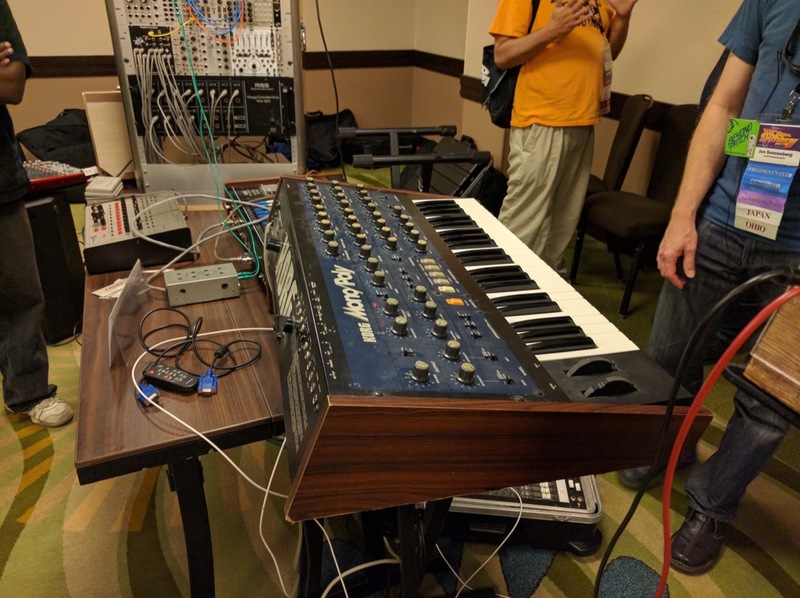 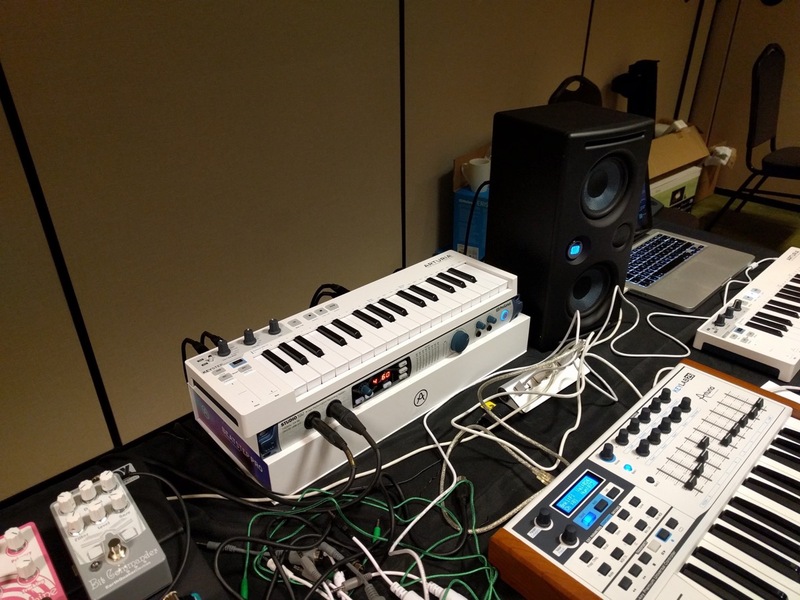 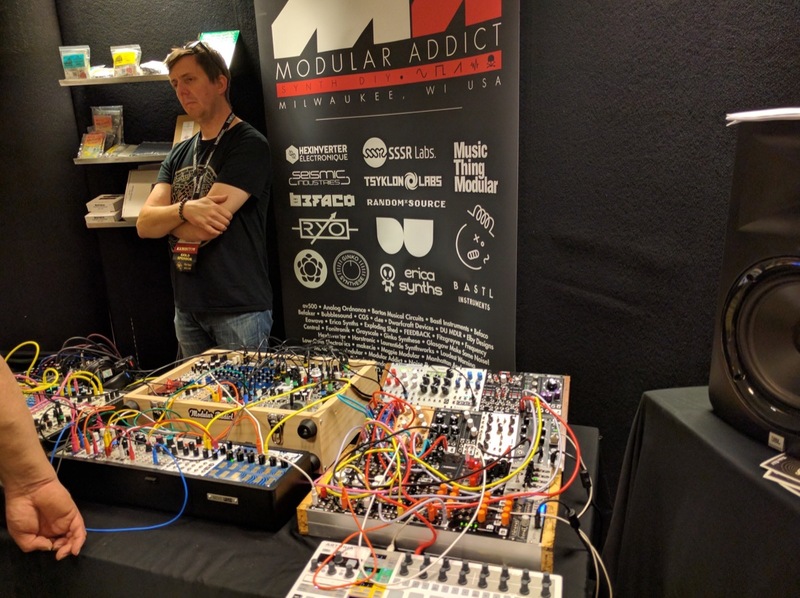 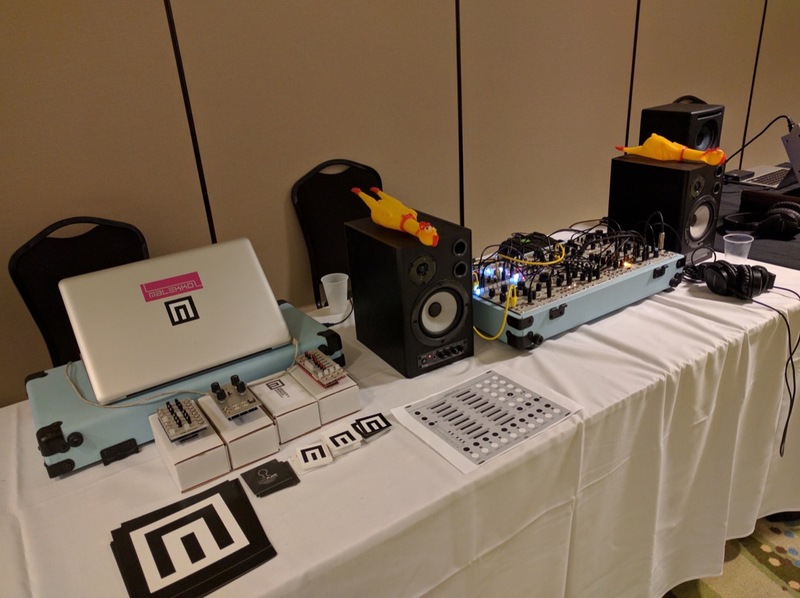 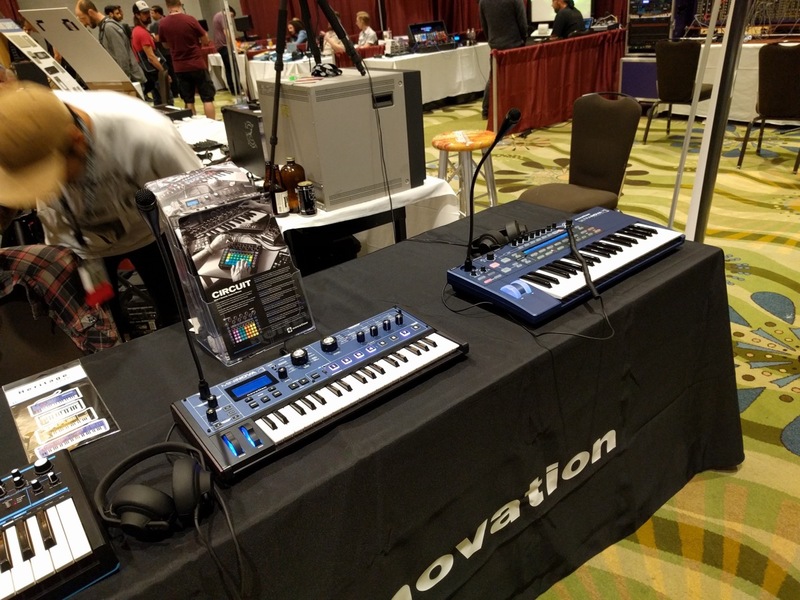 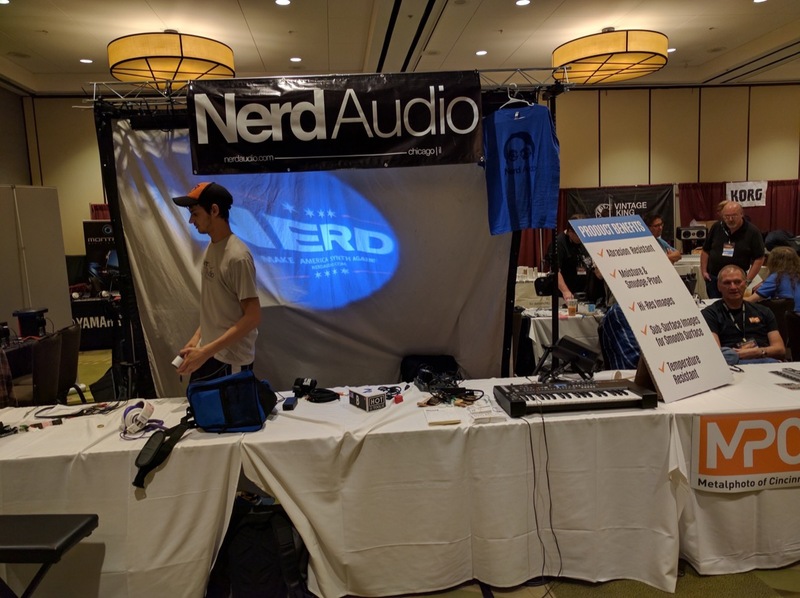 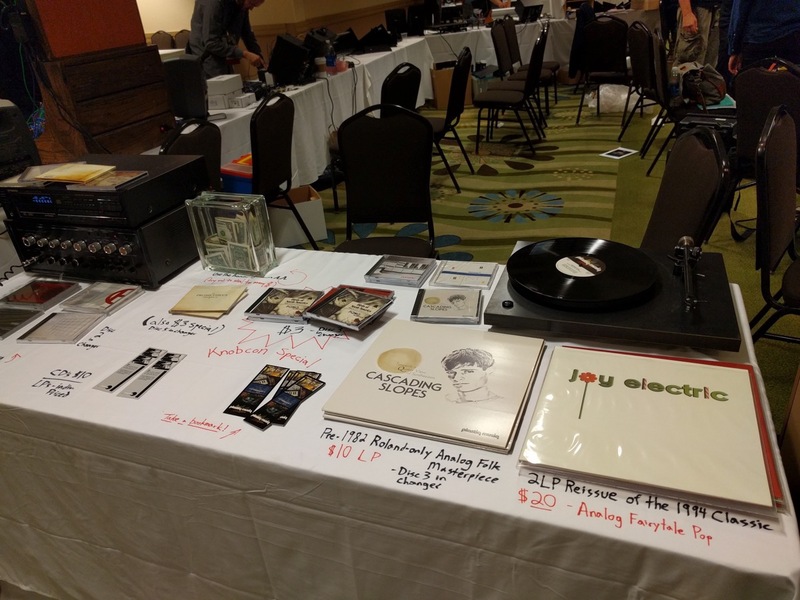 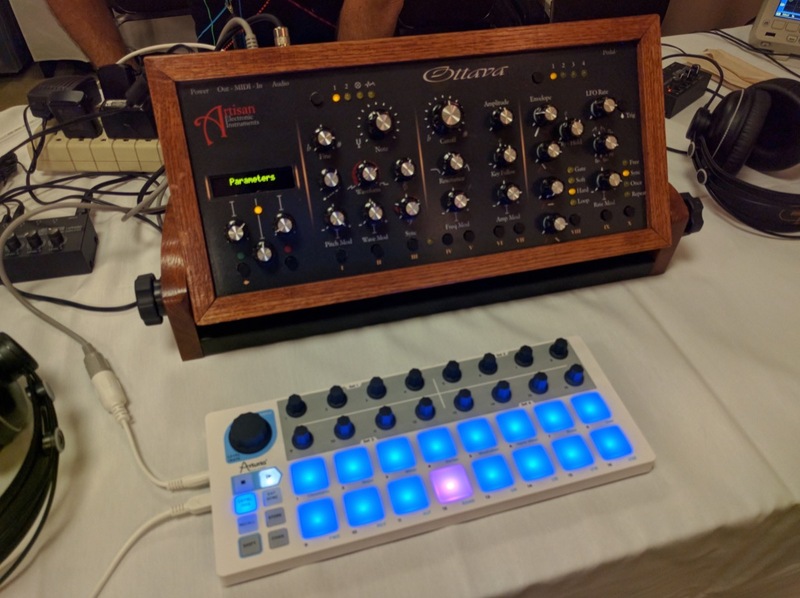 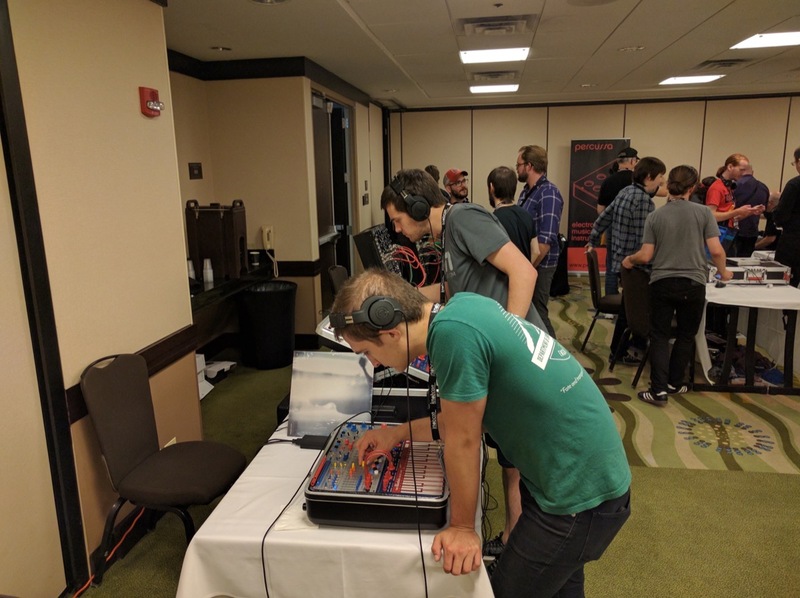 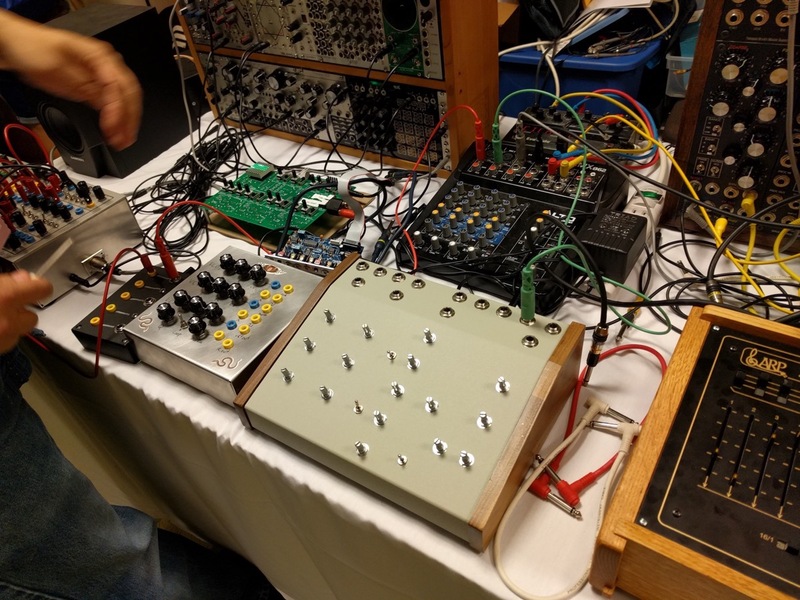 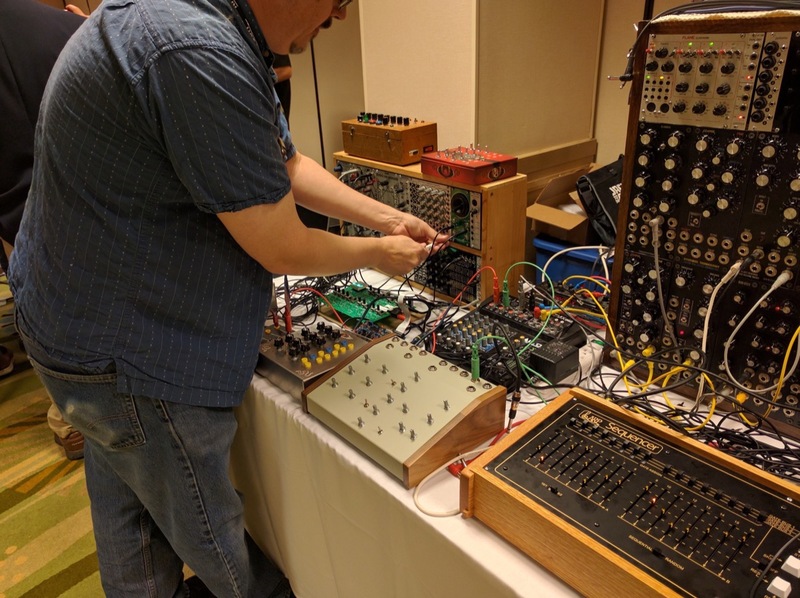 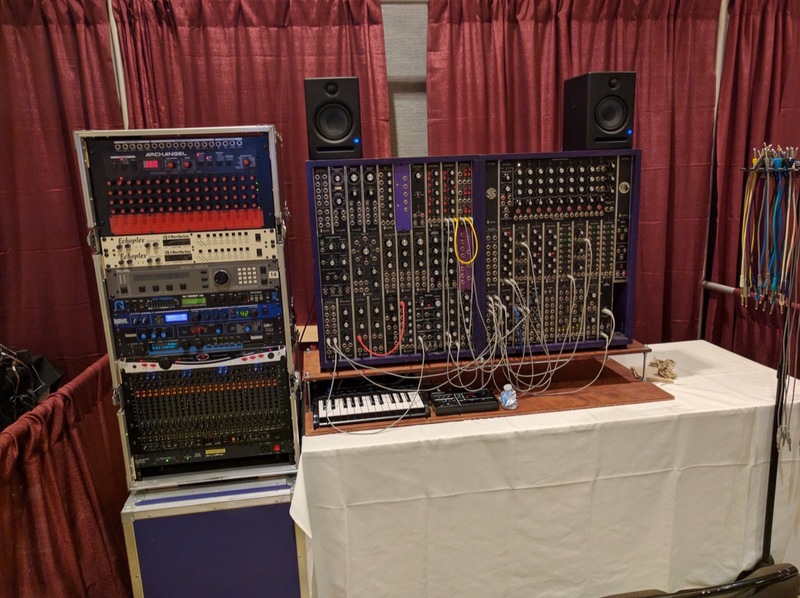 Here are a few things you’re likely not to read often: thousands descended last week on the great city of Schaumburg, Illinois for a three-day convention full of unique synthesizer companies and aficionados. 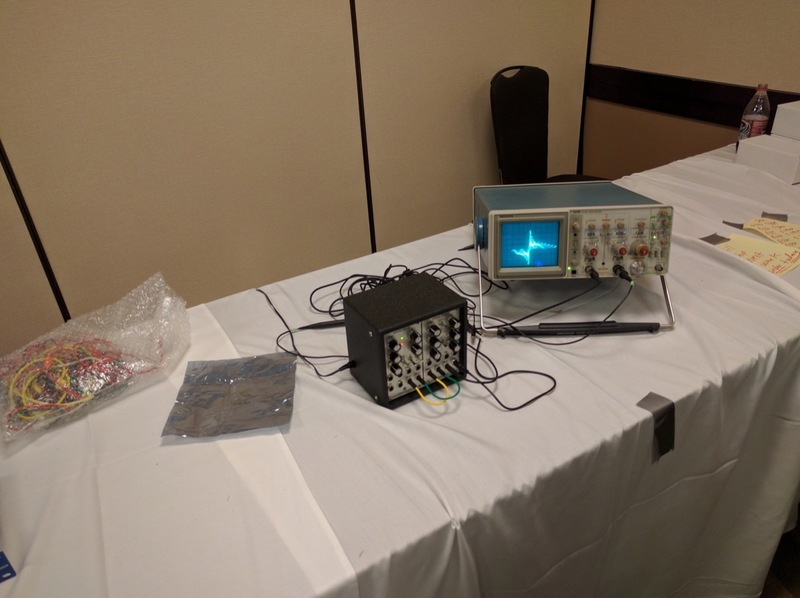 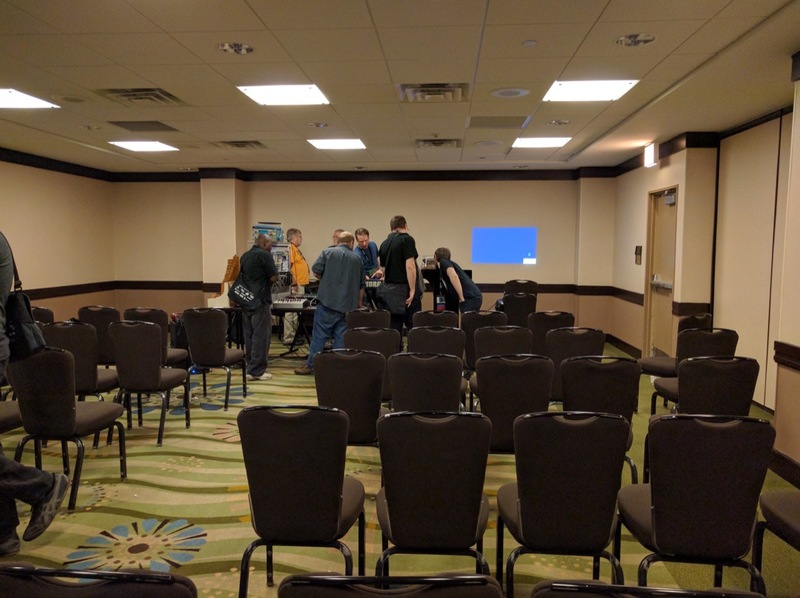 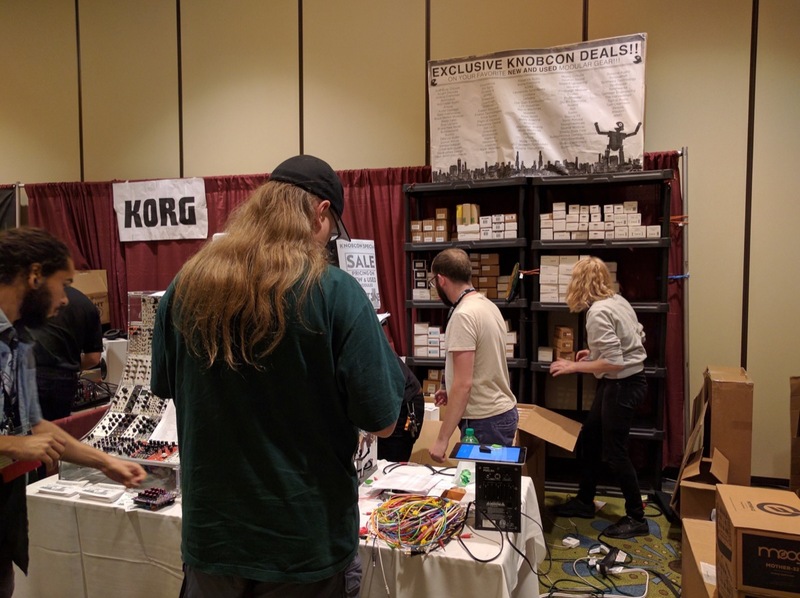 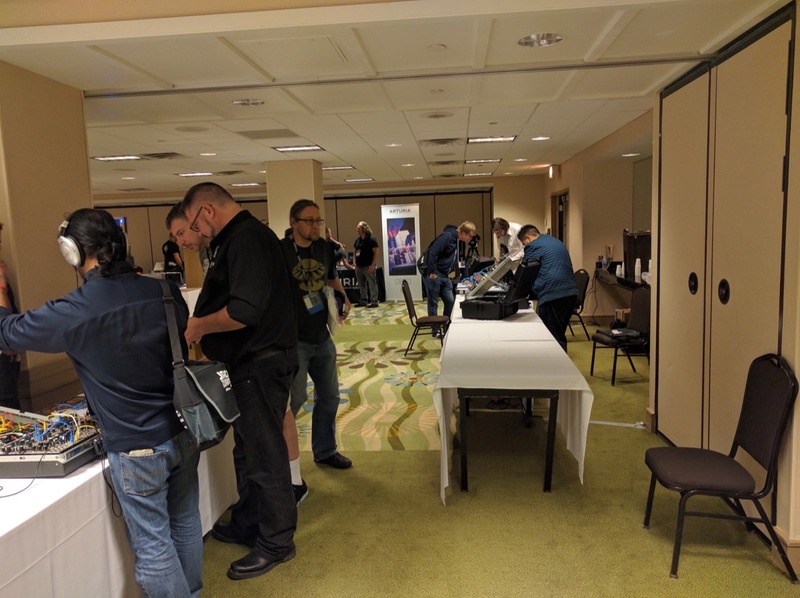 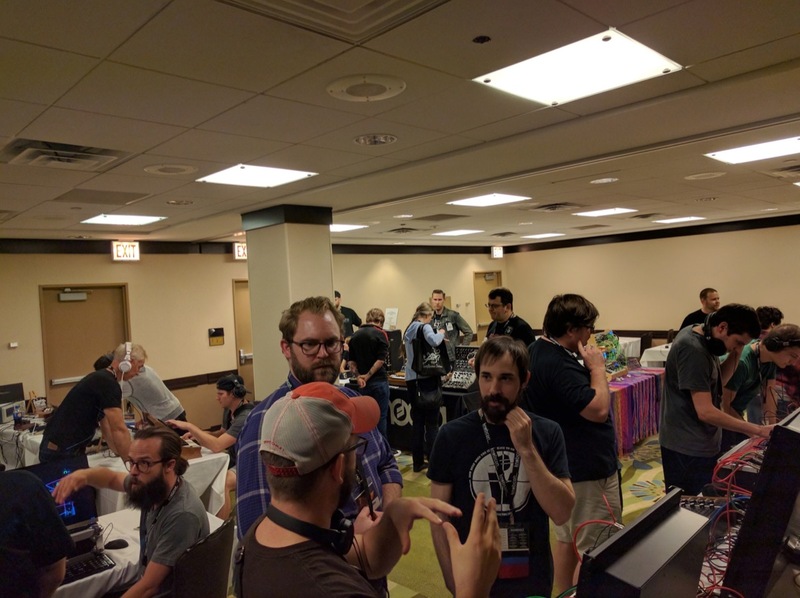 I may be overselling the event itself, but Knobcon holds a legitimately unique scene you won’t see anywhere else. 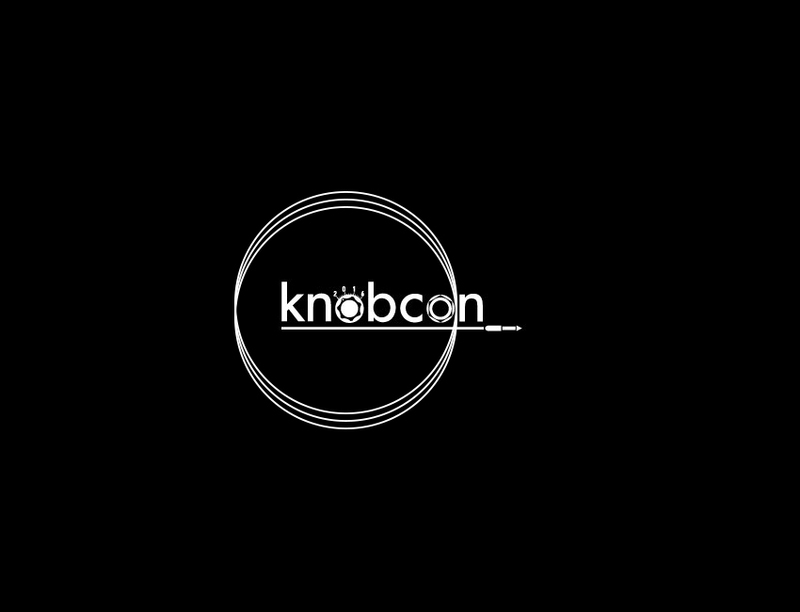 So, what is Knobcon? 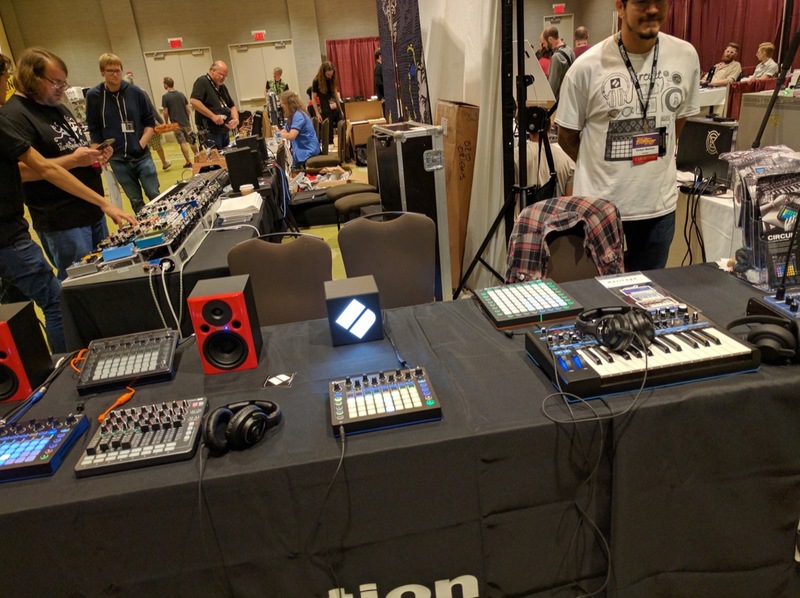 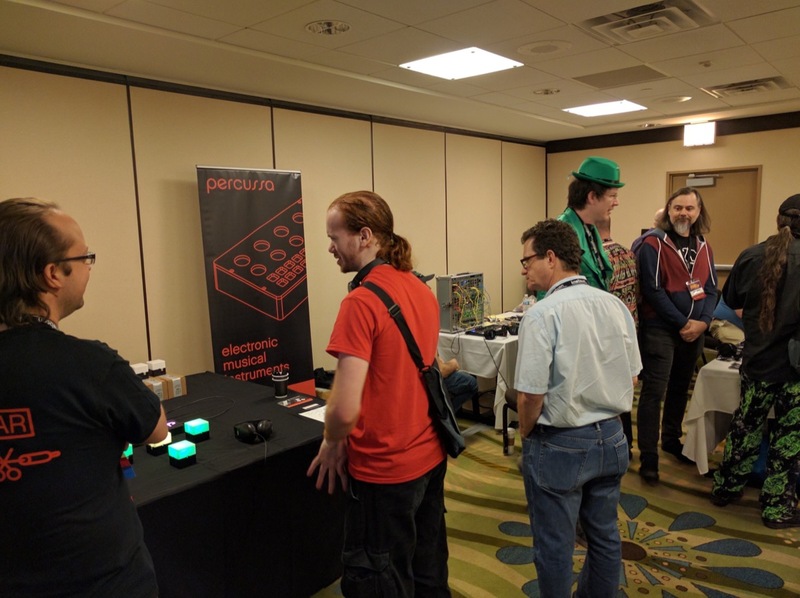 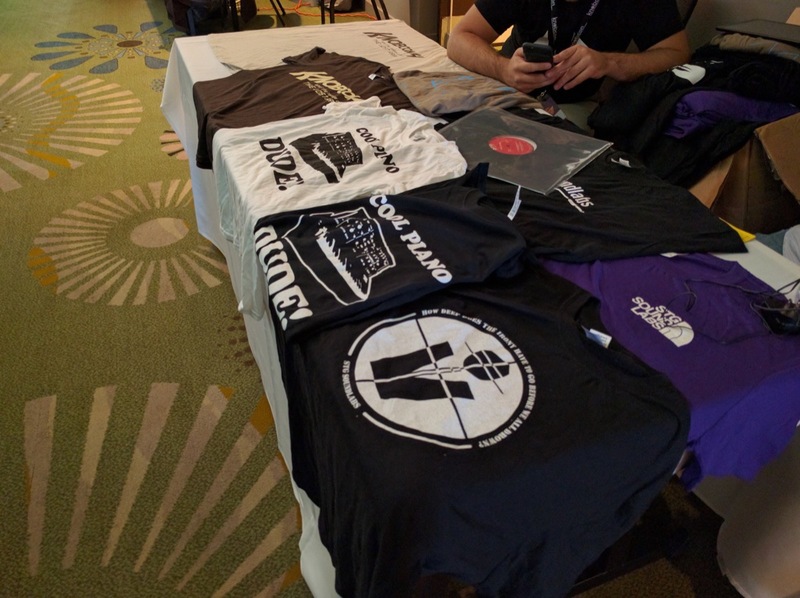 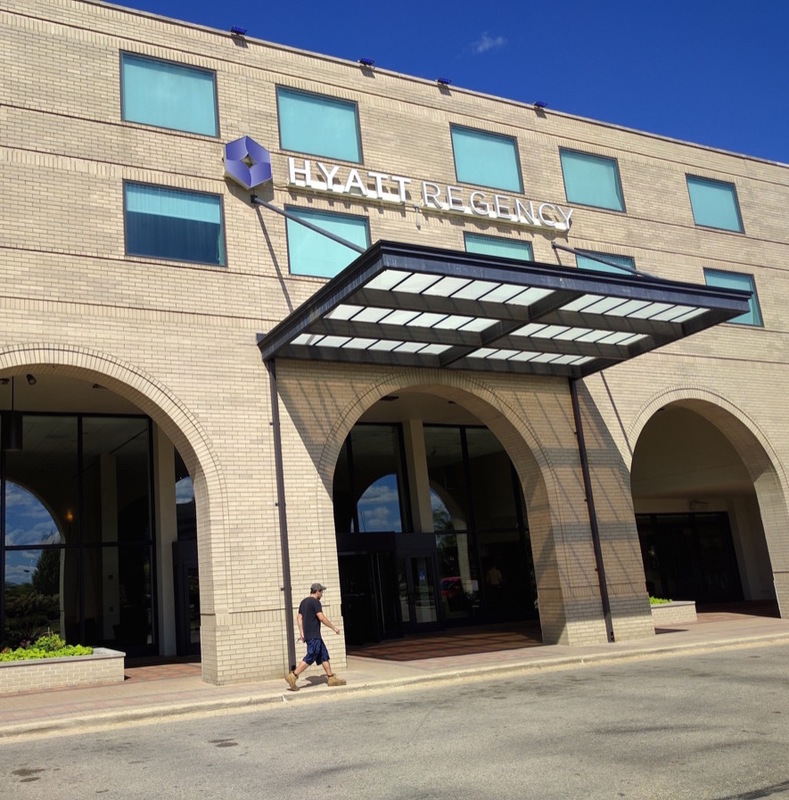 Hosted at the Hyatt Regency Convention Center, this year’s iteration, the 5th held so far, presents a surprising setting. 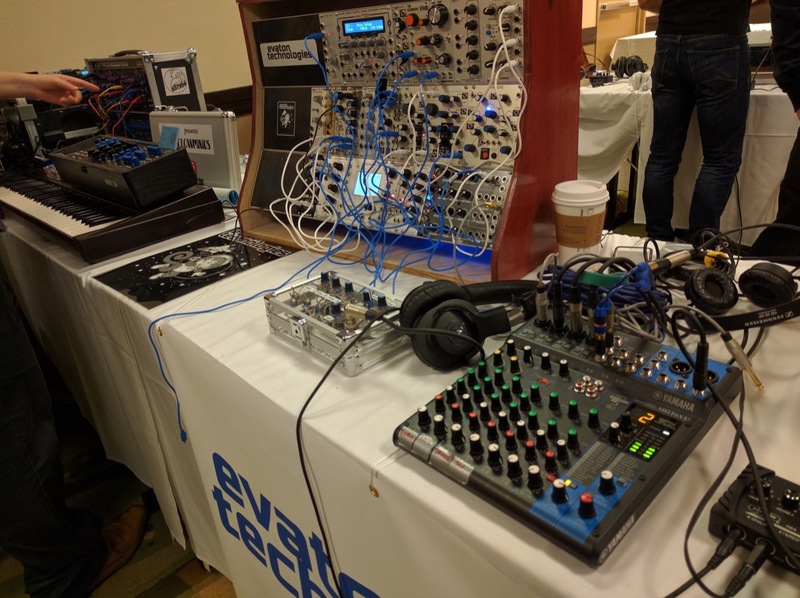 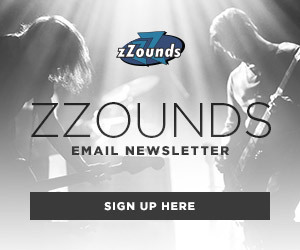 Think of it as a retort to typical NAMM-like conventions or overblown product launches that mistake quantity for quality. 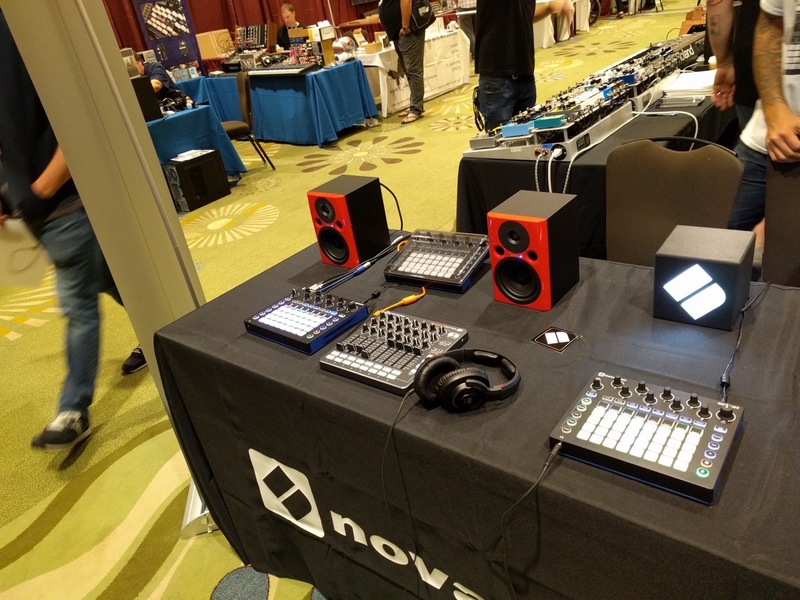 Lectures, performances, product demos, workshops, and sales all share equal space here. 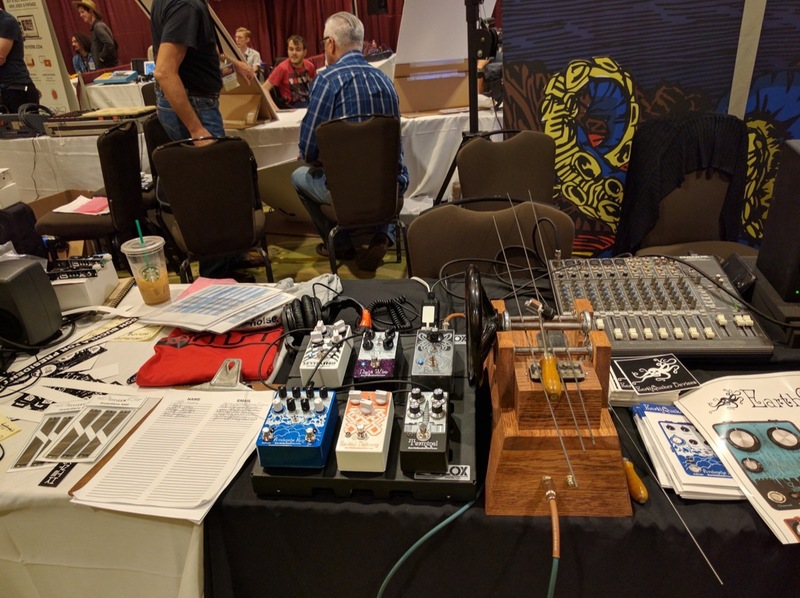 At Knobcon, the focus is placed back on the enjoyment of these fascinating instruments. 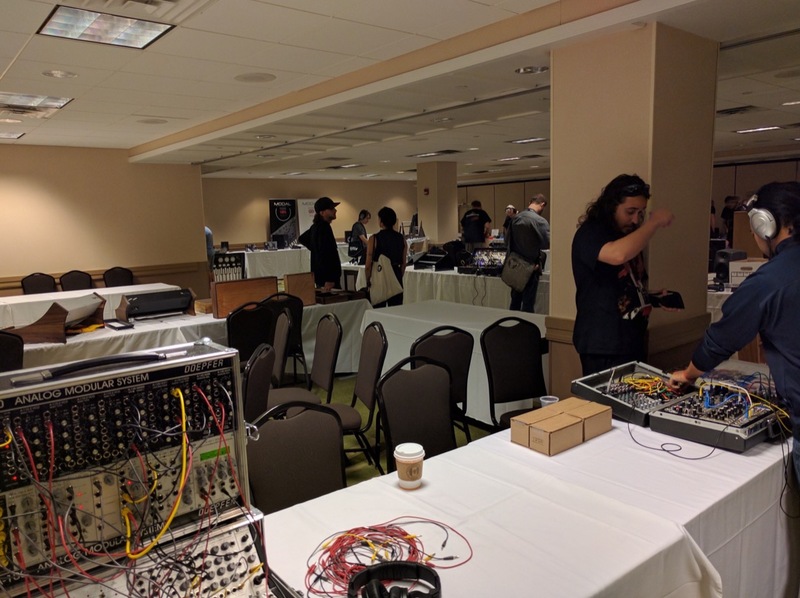 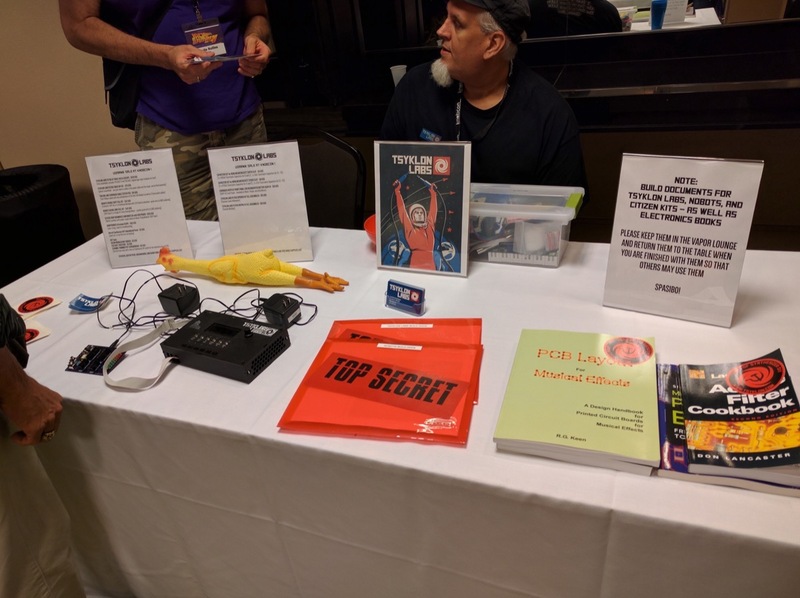 As I walked the halls, I could sense how this event allowed both attendee and presenter freedom to simply be there, enjoying the breadth of what was on display. 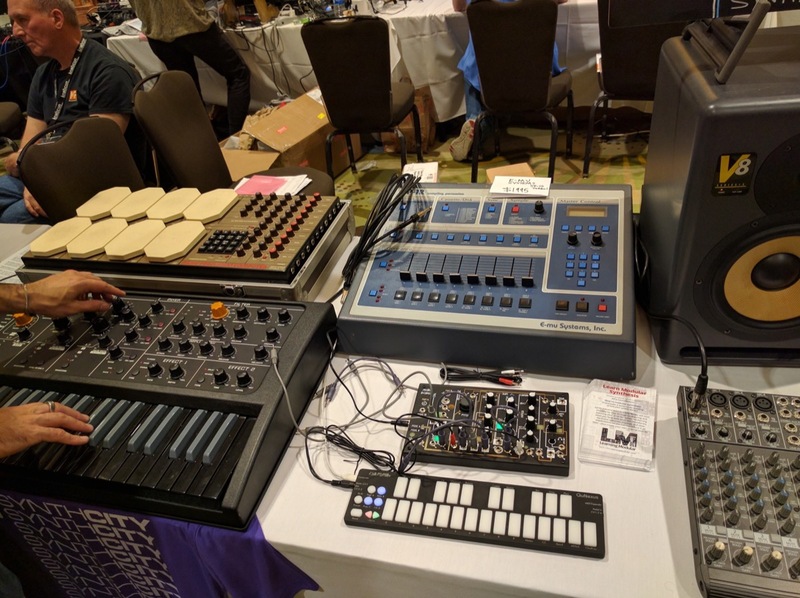 What was also genuinely surprising, was how big time players like Korg, Roland, and Moog could court as much of my attention as up-and-coming makers like Dreadbox, Percussa, and Mystic Circuits. 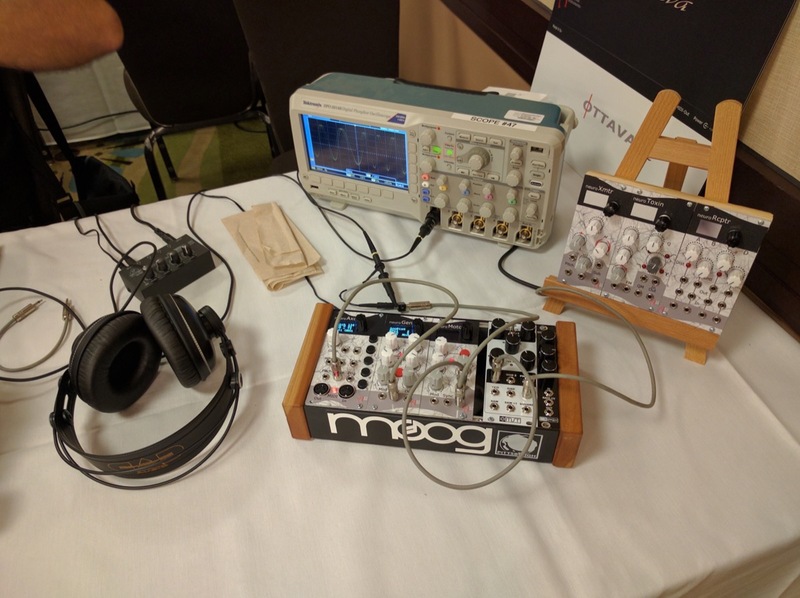 At Knobcon, I was granted the time to sample, ask, and examine whether this interesting tool could add something of value to your music. 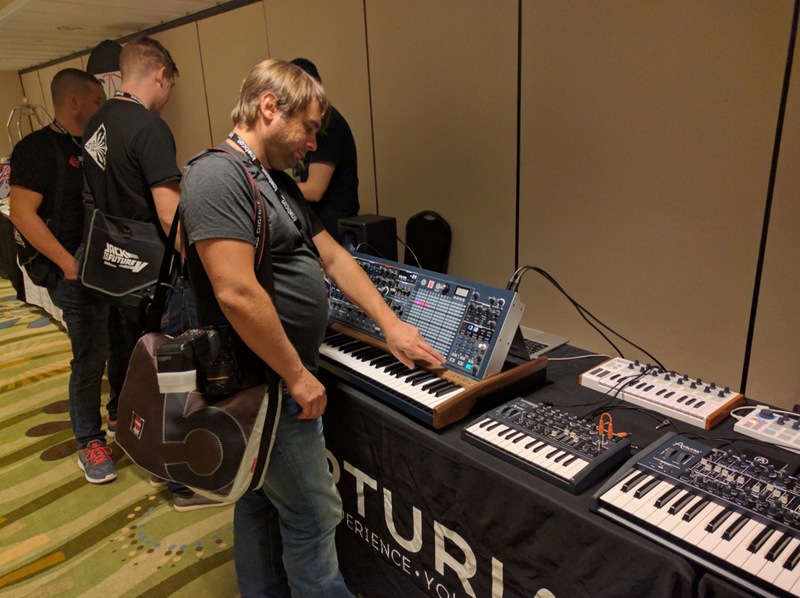 There are things that you can’t forget: Arturia’s MatrixBrute, in person, is just an astounding piece of gear. 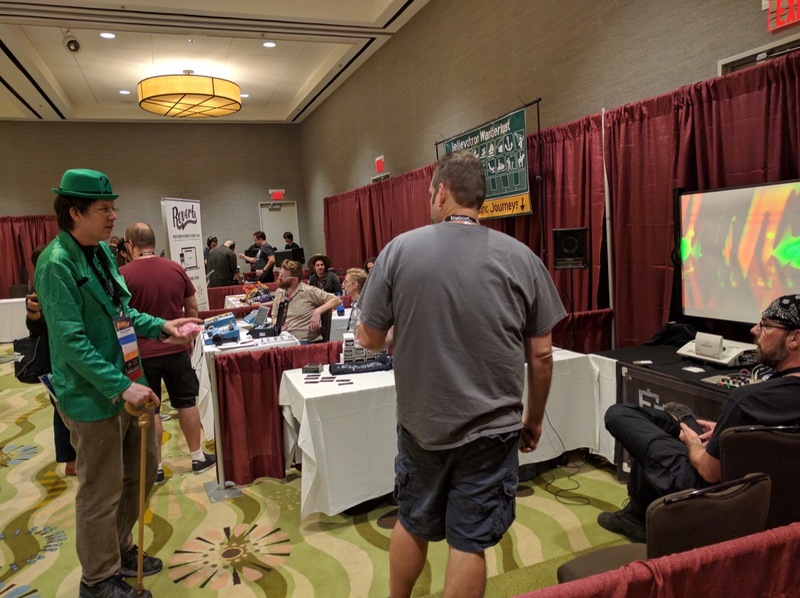 However, personally, what I seem to remember the most are the two interesting booths that were adjacent to each other. 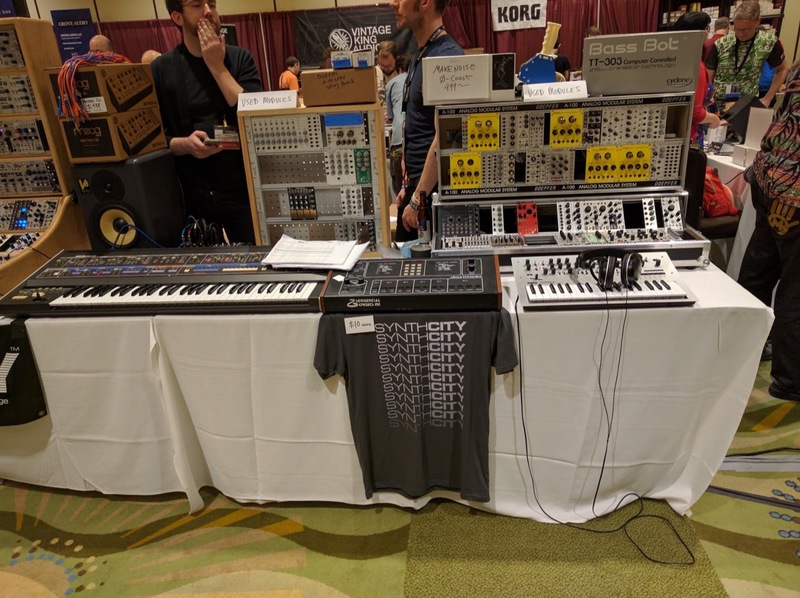 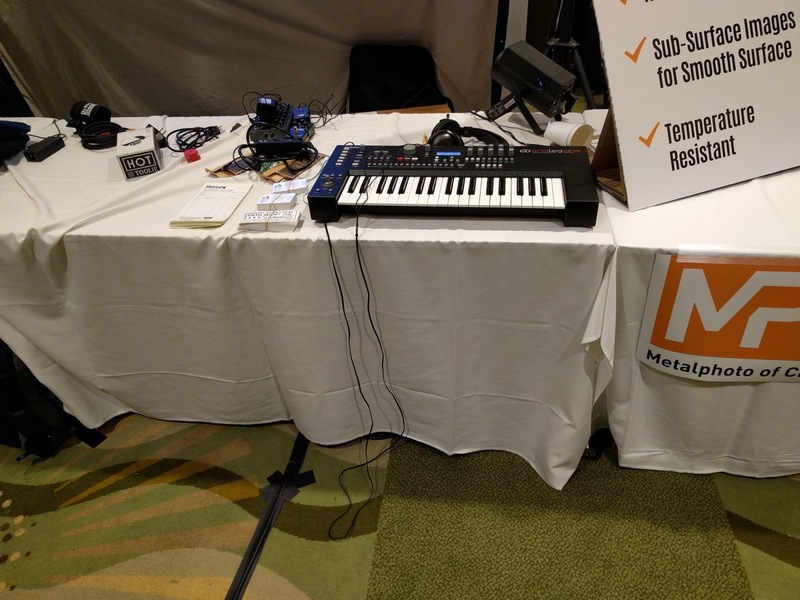 Next to Behringer’s table showing of their buzzworthy Deepmind was a much less auspicious booth by Sleepery Supply showing off something far more elemental. 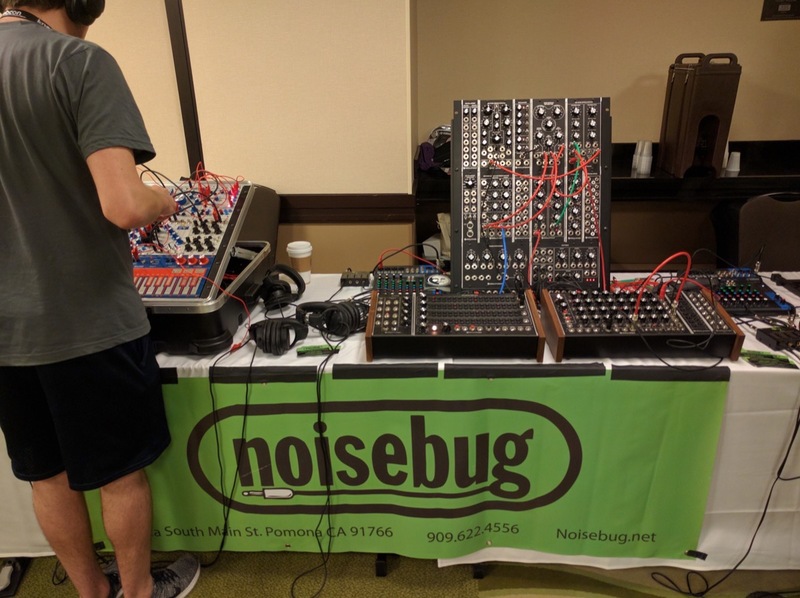 Both were positively refreshing. 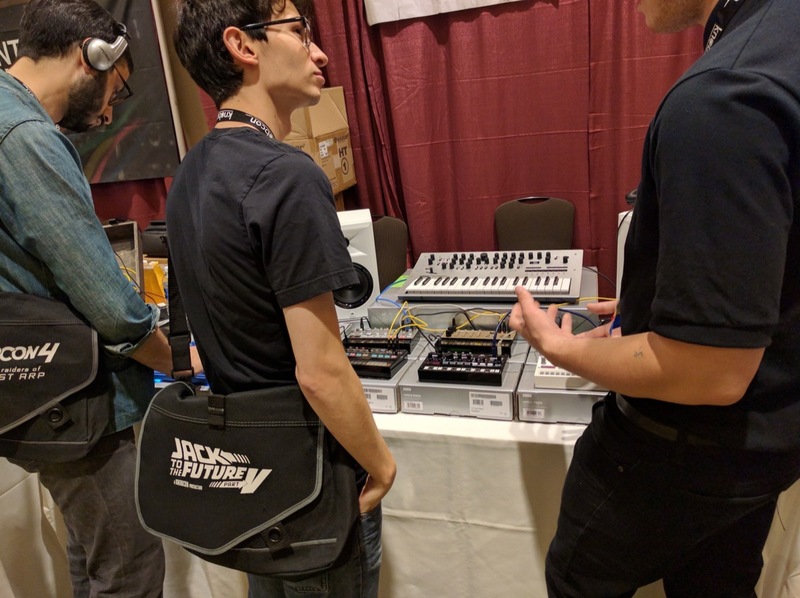 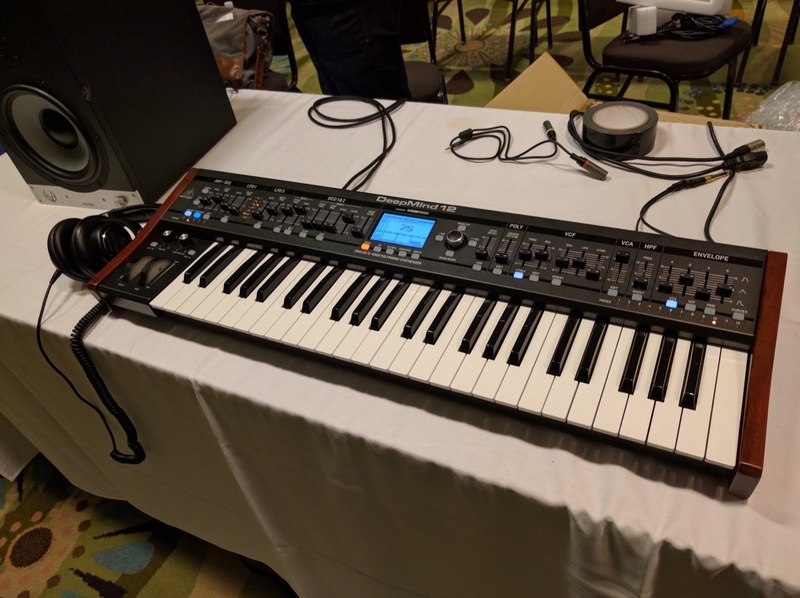 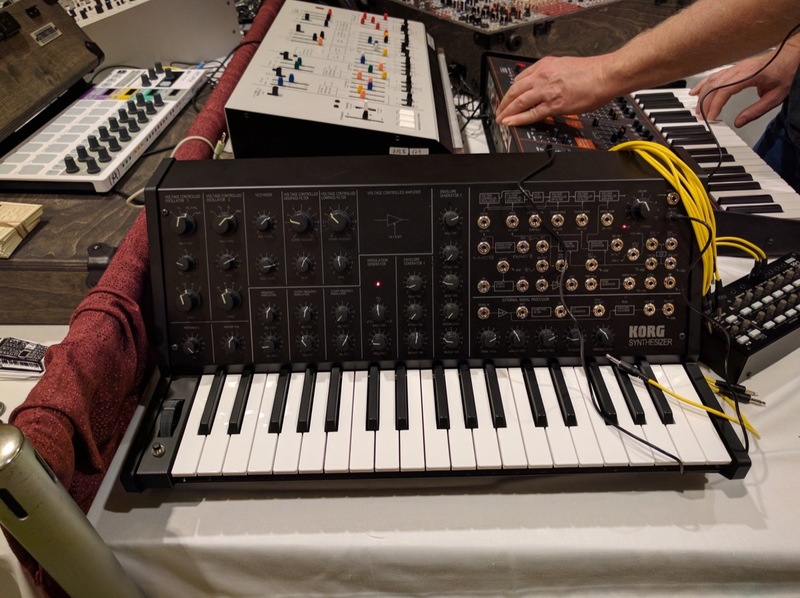 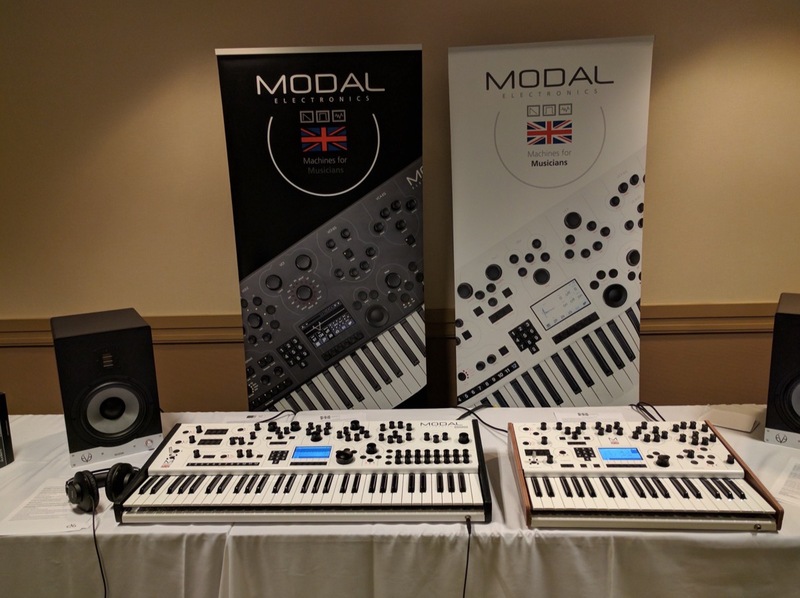 As surprised as I was by how Behringer managed to nail the polyphonic sounds of classic Jupiter and Juno synths, I was surprised by a conversation I held with the maker of a line of aromatics who set up next to them. 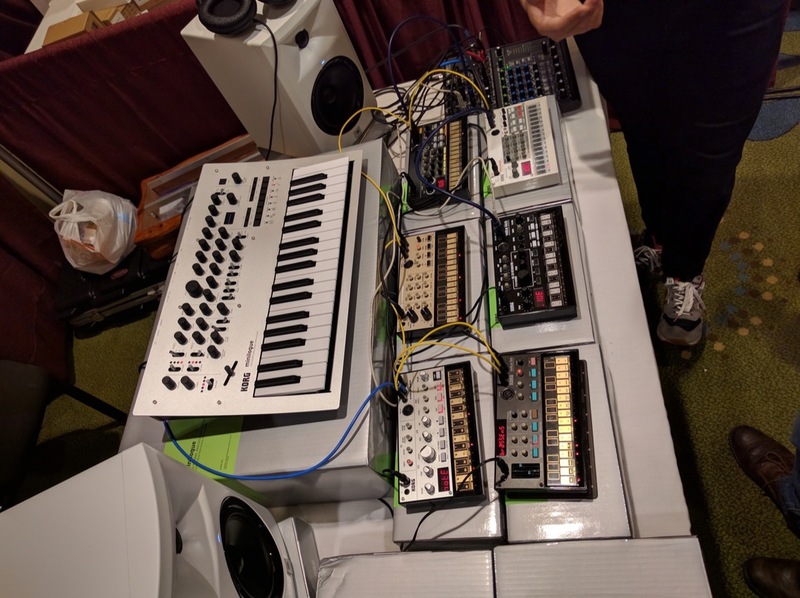 I’ll get back to that in a bit. 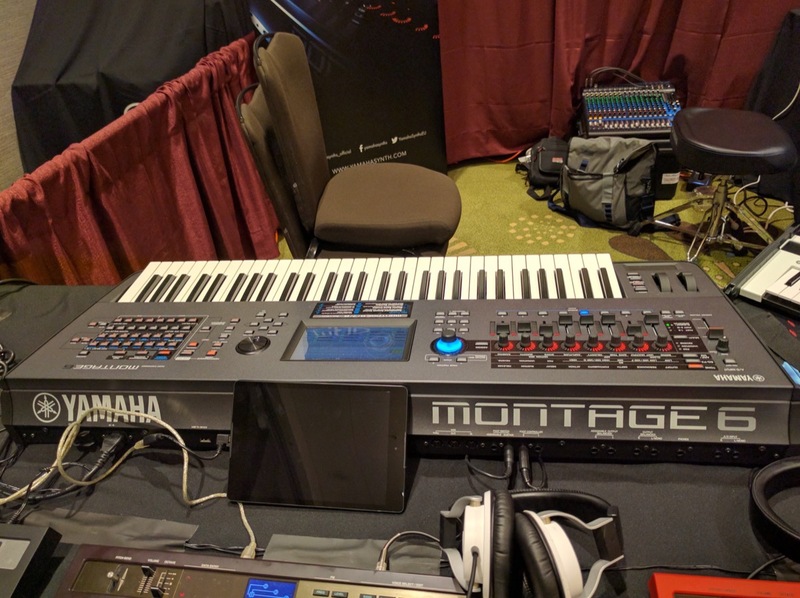 First of all, we all know that music by itself can trigger many emotions. 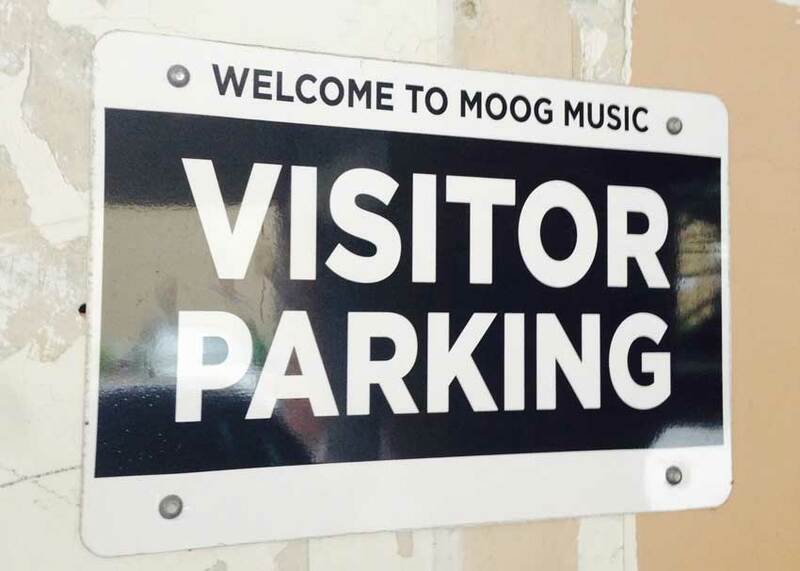 Sometimes, we forget that music just taps into one of our senses. 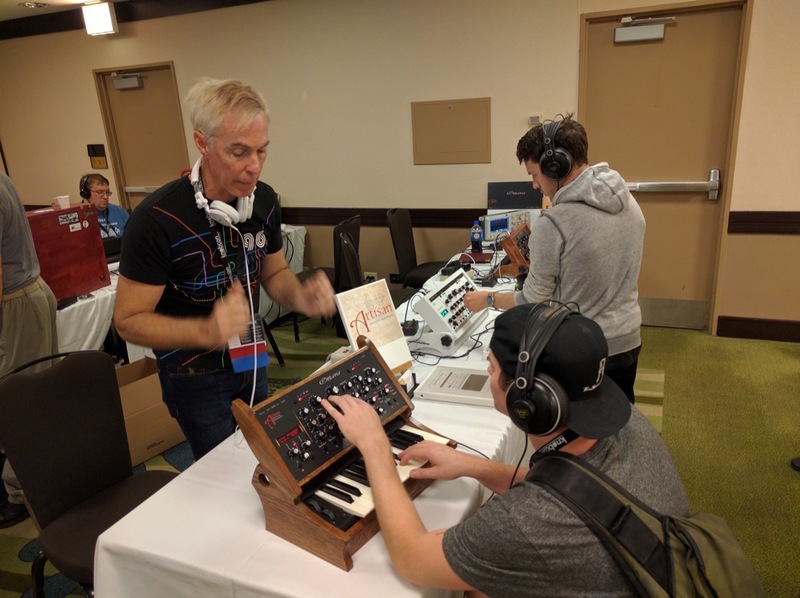 In our time, it appears a lot of musicians are coming to realize the role other senses play in fleshing out the sensation to music itself. 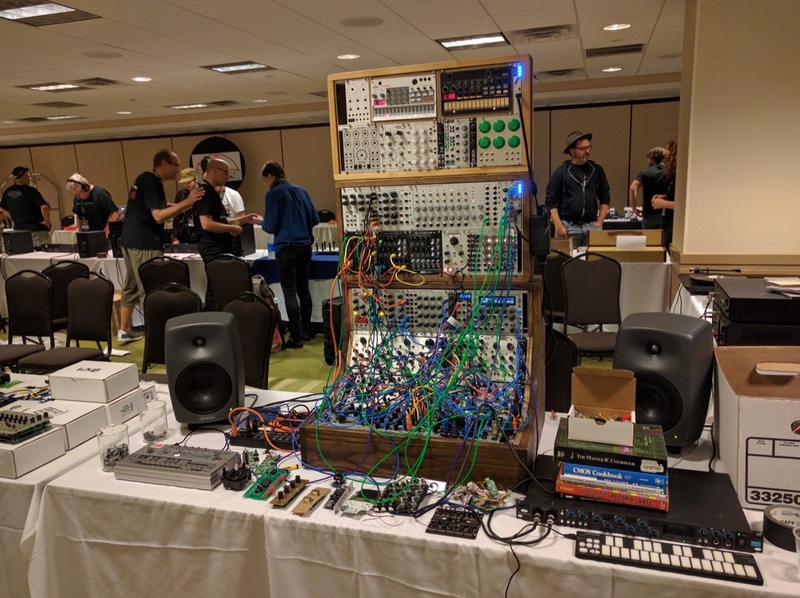 A few good examples were found at Knobcon. 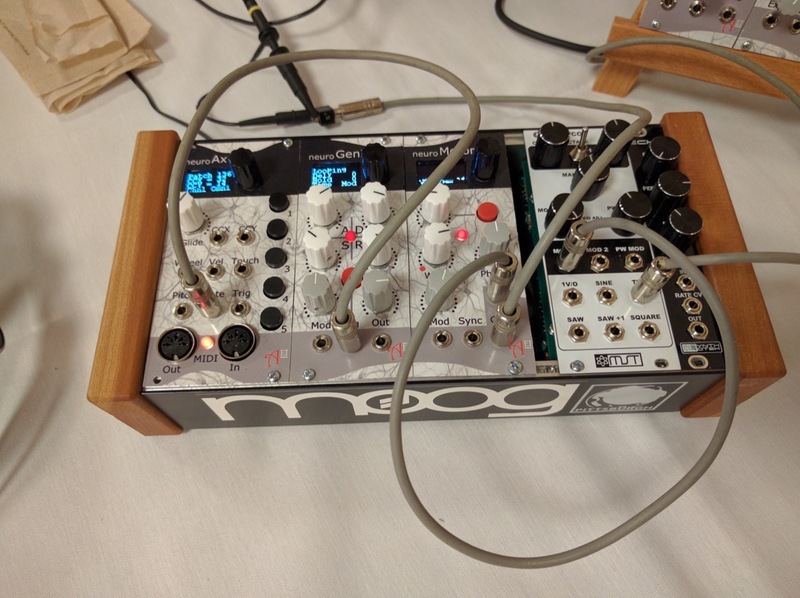 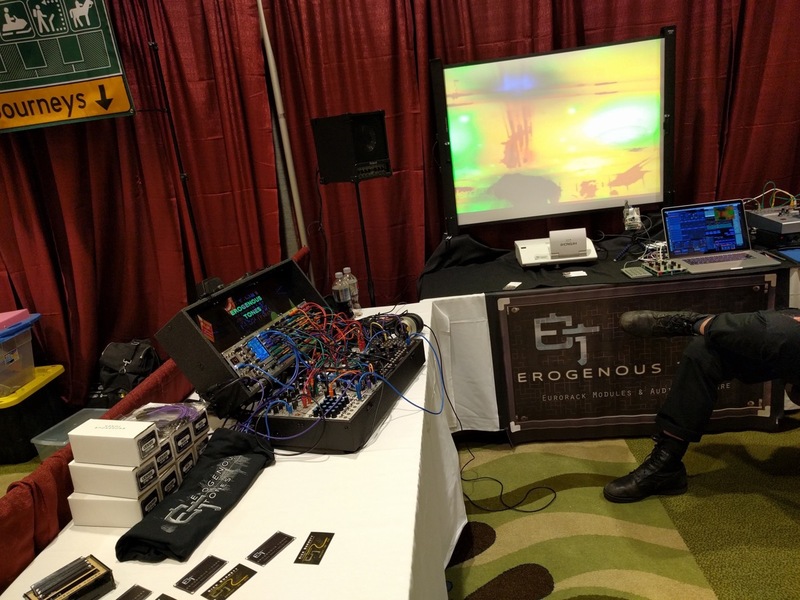 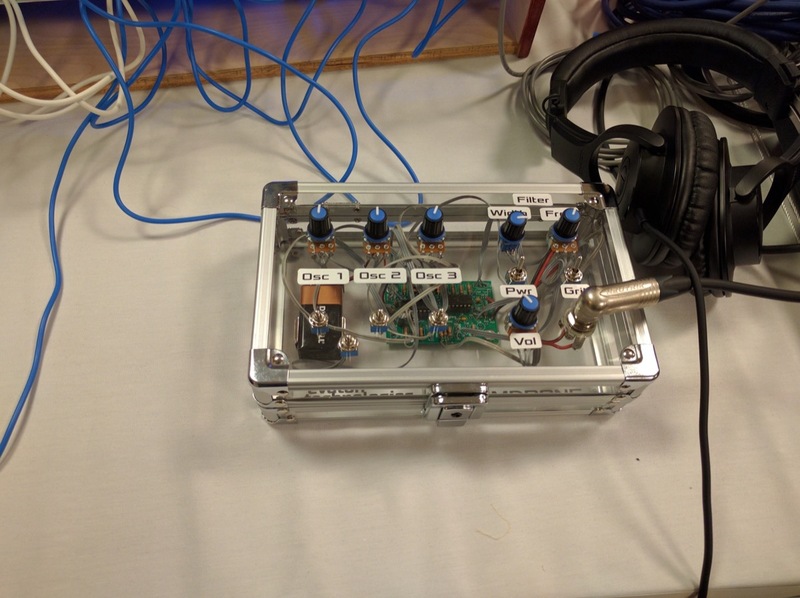 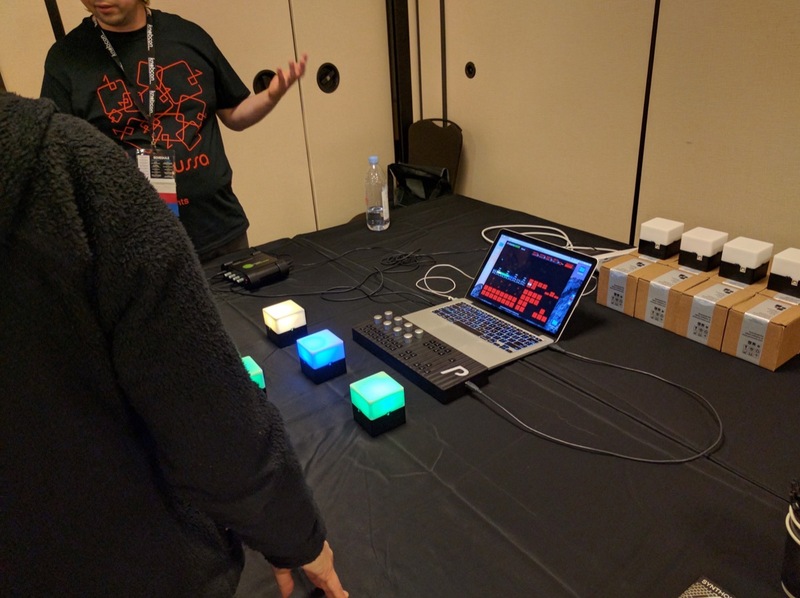 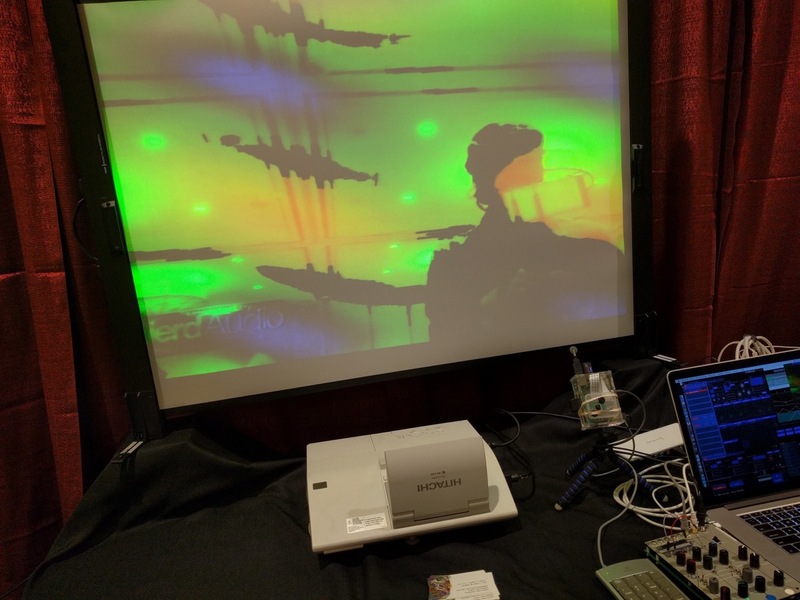 At Knobcon, Erogenous Tones displayed a brilliant video synthesizer that synthesized varied visual accompaniment to any music you could connect to it. 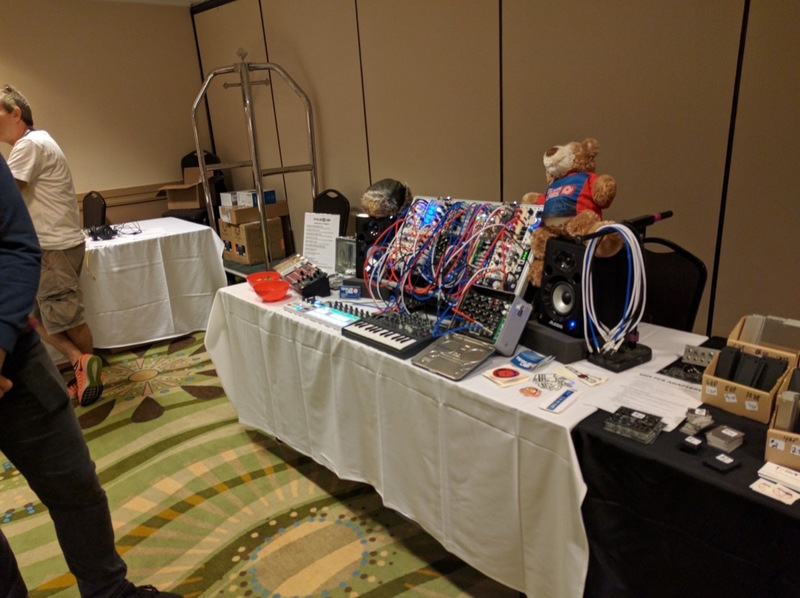 As I viewed their display, I could put together how manipulating or controlling these other sensory aspects could project certain things that one might miss by focusing on mere sound alone. 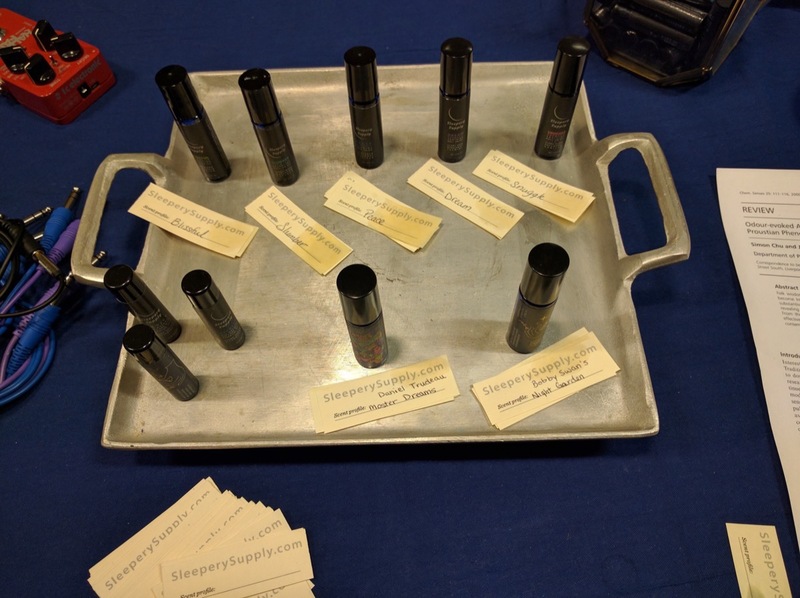 Now, at Sleepery Supply’s booth, I saw vials of aromatics that stated: “Peace,” “Blissful,” “Snuggle,” and so on. 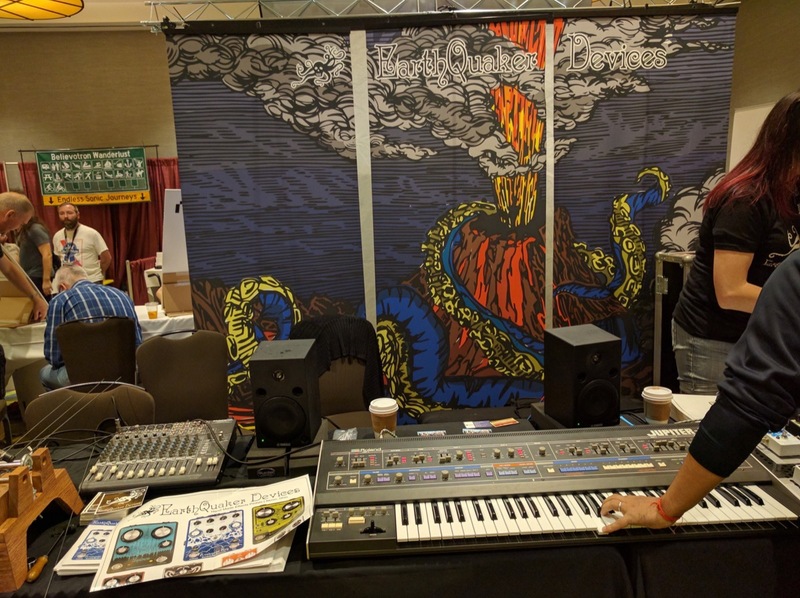 Alexandra, the creator of these oils, related to me how an early career in the fashion industry transitioned into trying to find new ways to promote creativity. 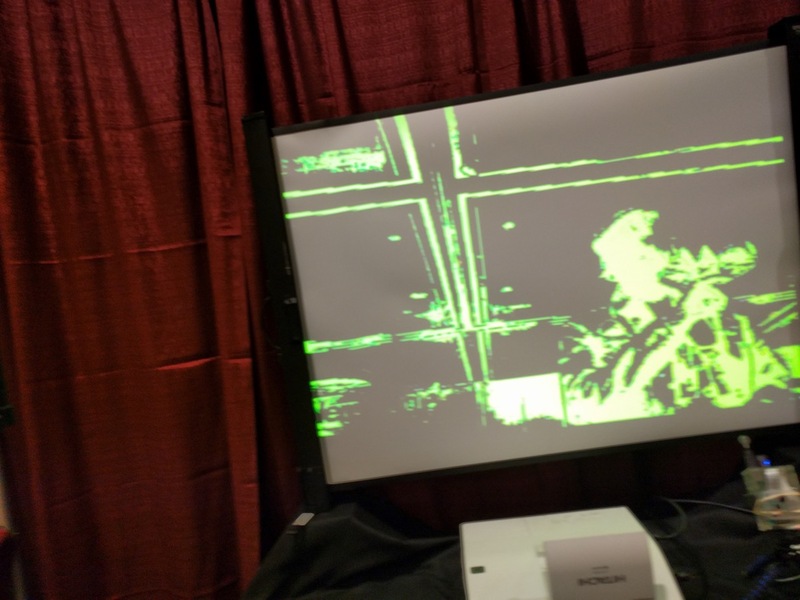 For her, it seemed the biggest obstacle in doing so was sleep. 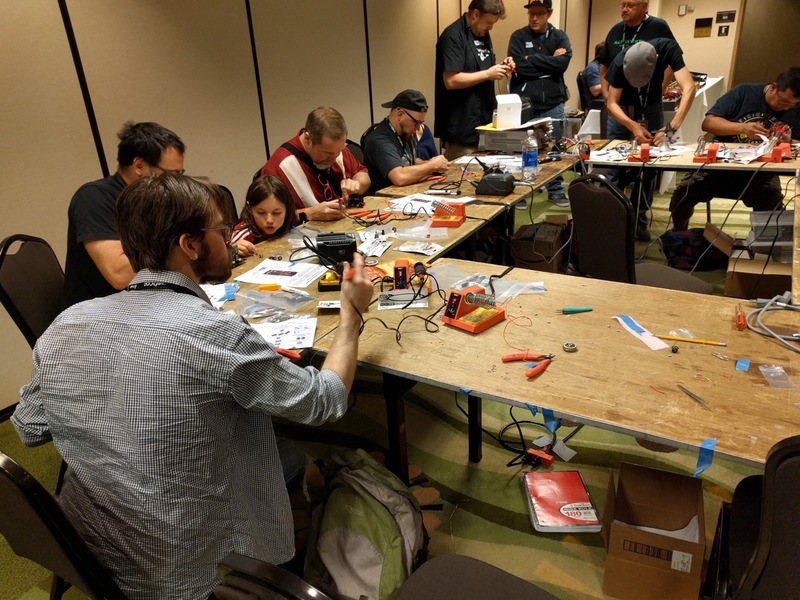 You can’t be creative if you don’t have the endurance, or the rest, to keep at it. 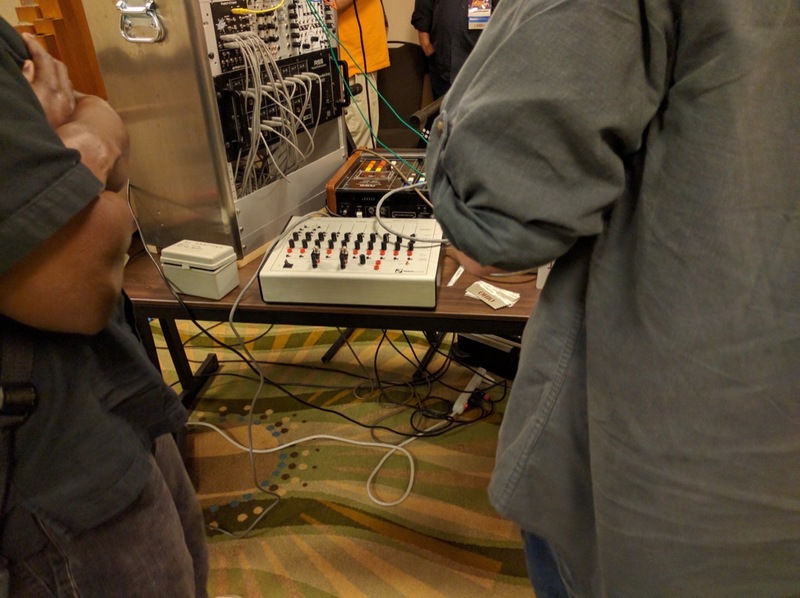 In her quest to induce a positive state of sleep, she realized that odors and scents all hold the same power to trigger memories and emotions as art or music would. 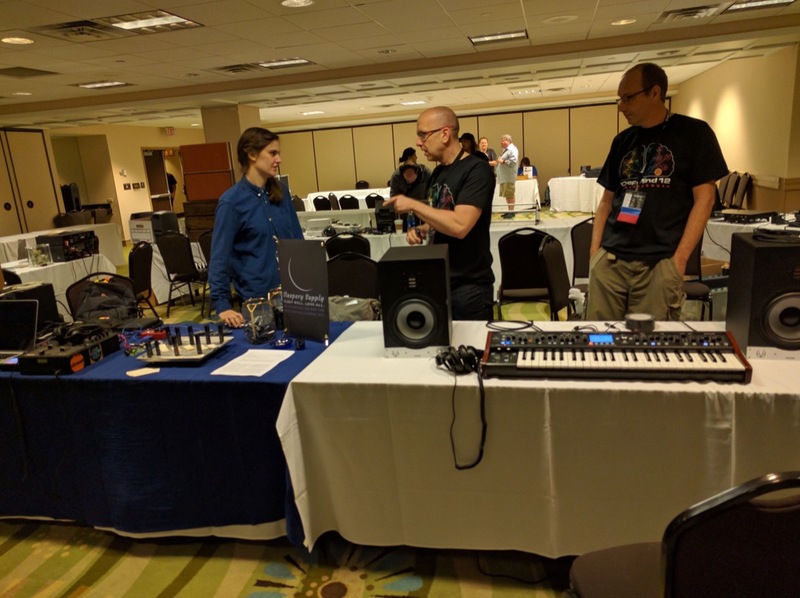 As she began to test her scent combinations on friends and others, she saw results that led her to realize that musicians could benefit from something that could help them get into certain states of mind. 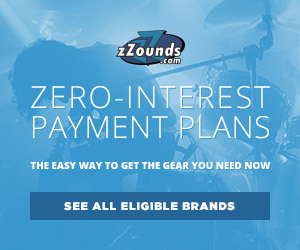 Having trouble accessing a certain idea? 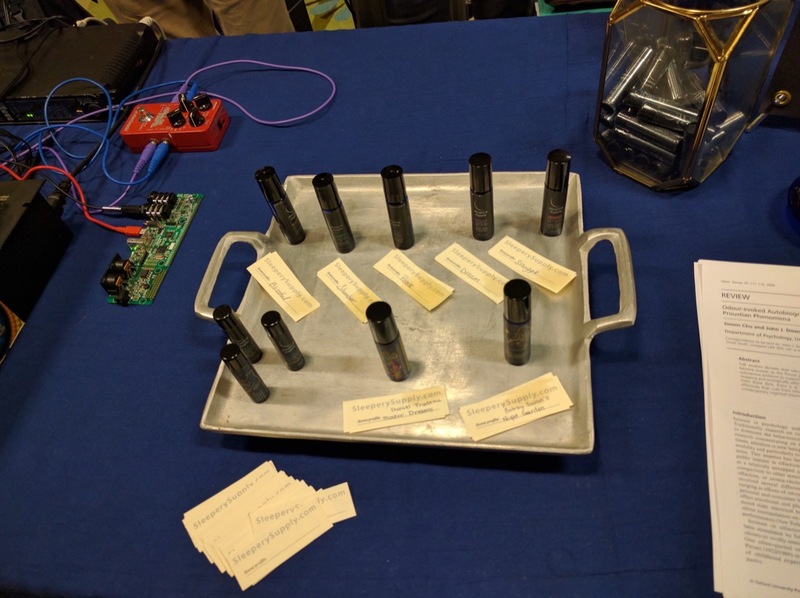 Dab a bit of a curated scent, sleep it through, and see if it helps you get at that thought. 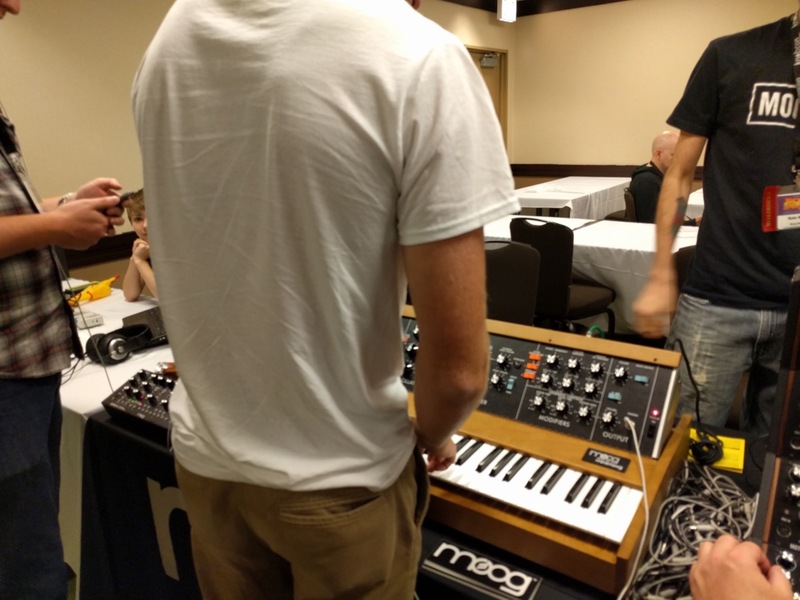 We’re all full of musician rituals, this would just be something else to add to our routine. 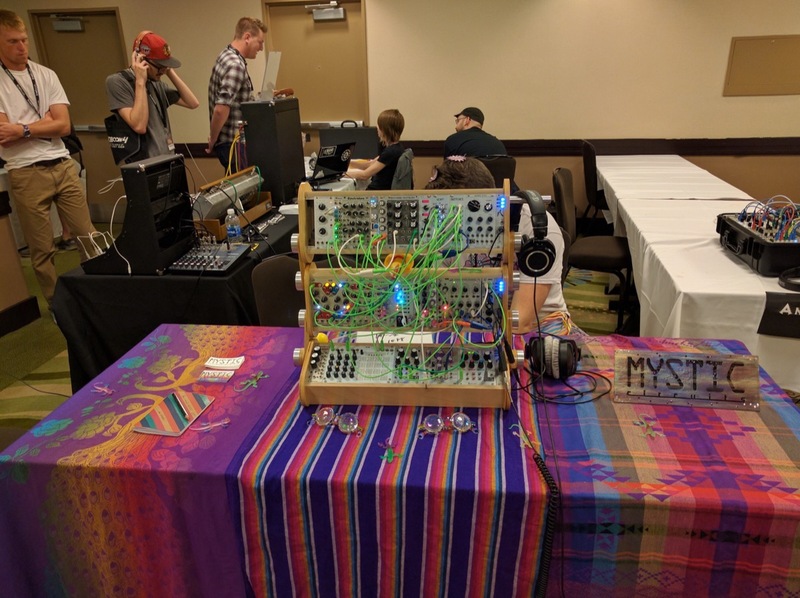 I don’t know about you, but for me that’s a fascinating idea. 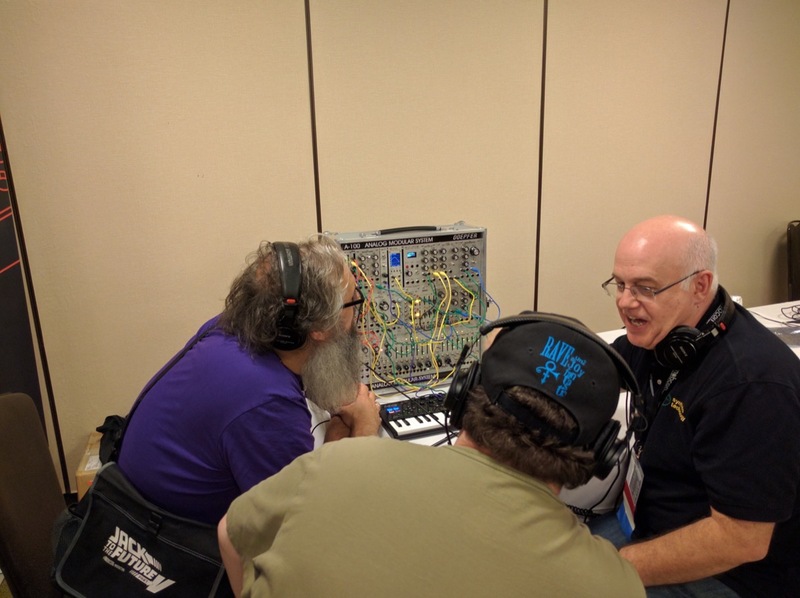 And for me, it was an intriguing conversation to have. 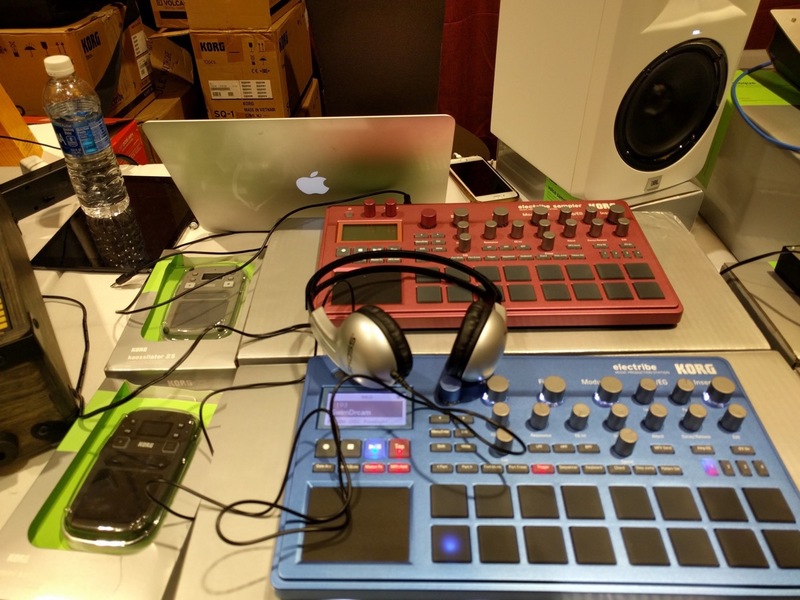 How important can other sensations be in getting you on that path of inspired creativity? 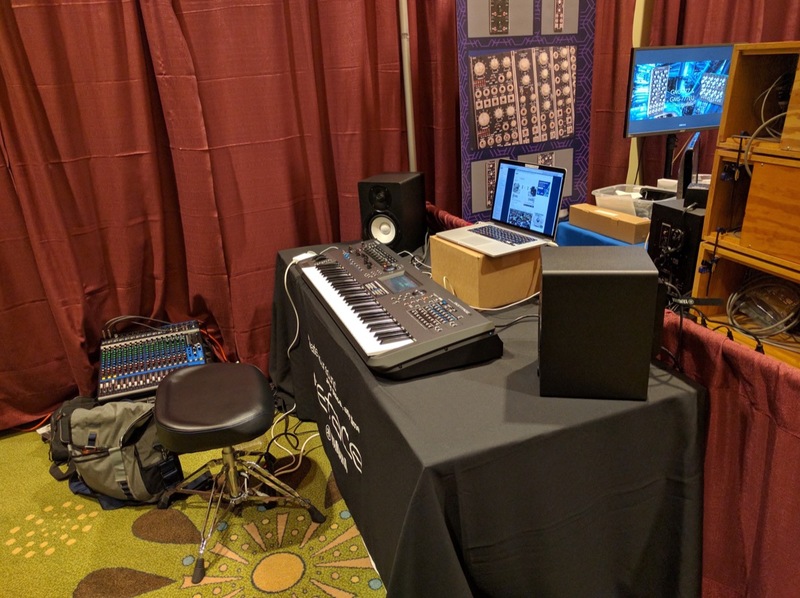 As important as all these sonic tools are, there are other tools out there that may be just as beneficial. 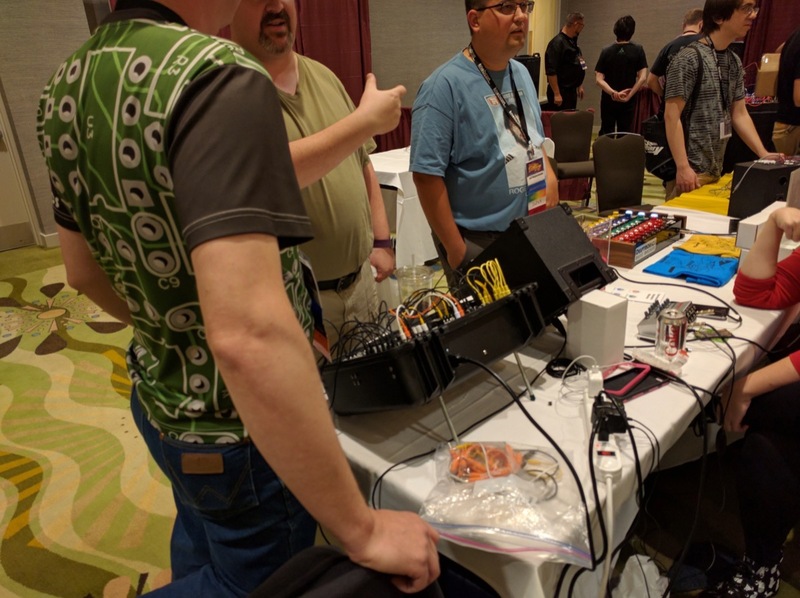 Leave it to Knobcon to allow such a conversation to be held and for such a company to present itself. 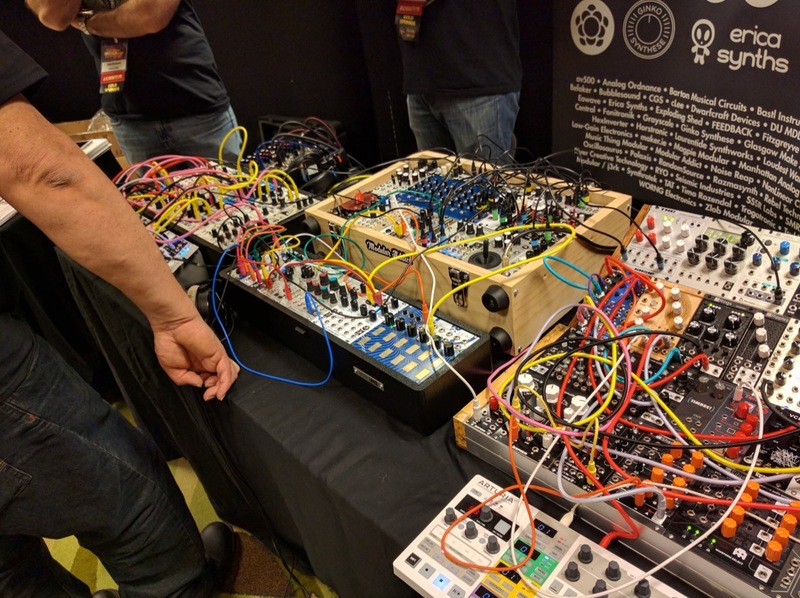 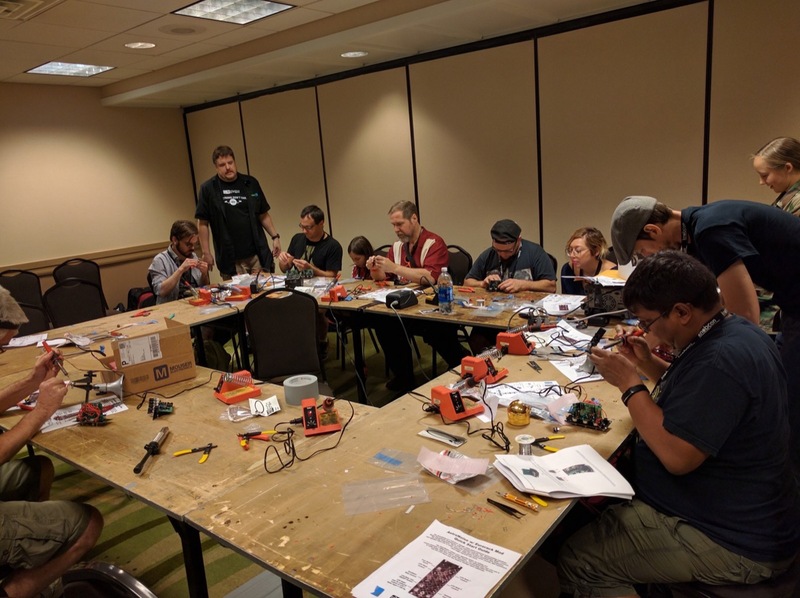 As I look back at Knobcon, and look forward to the next one, I hope you can take some time to make it next year. 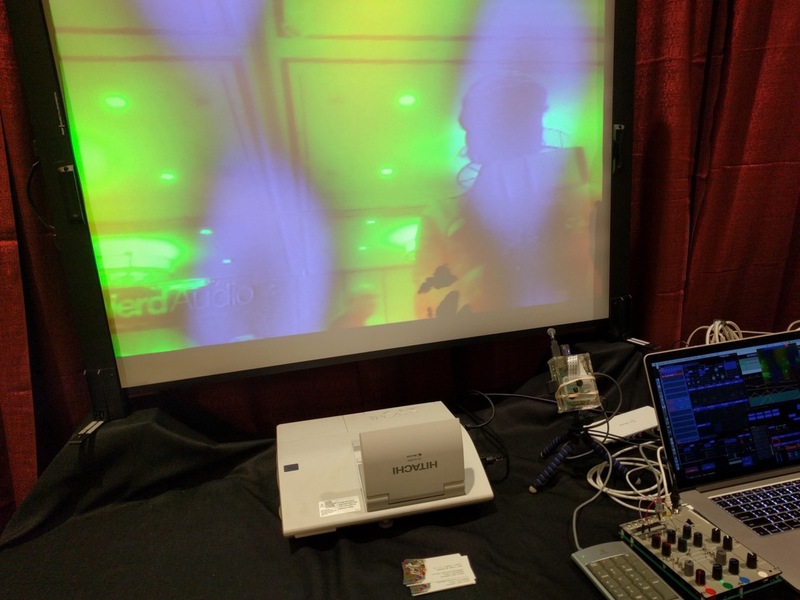 I’ll be sure to bring something interesting to show around, and I hope you will too.